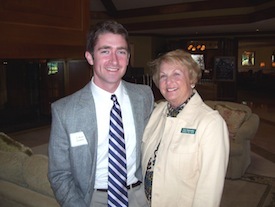 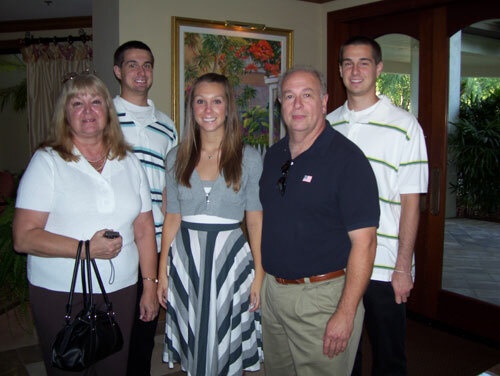 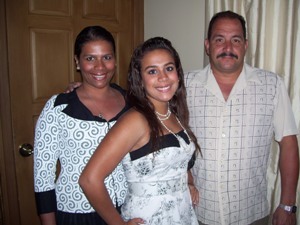 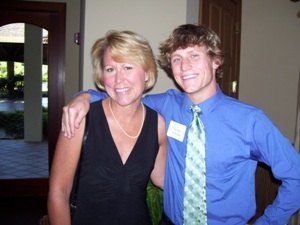 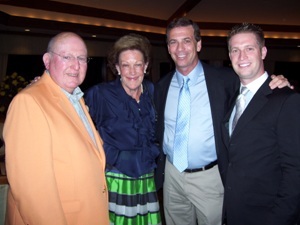 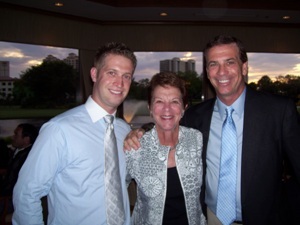 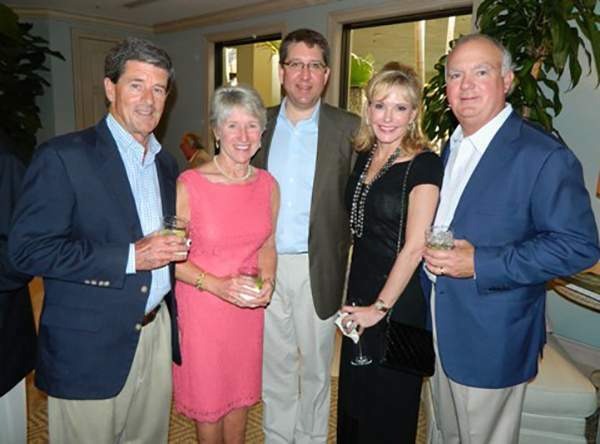 Photo Gallery | The Founders Fund, Inc. 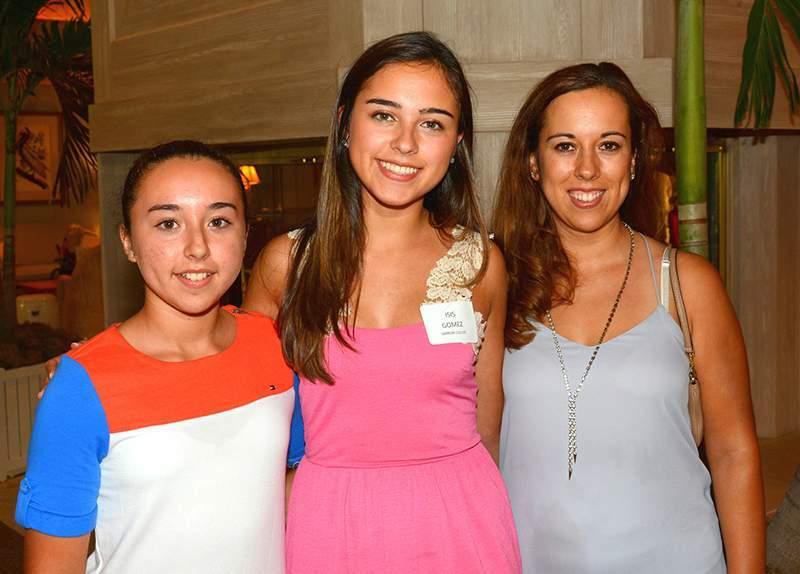 Welcome to The Founders Fund Photo Gallery. 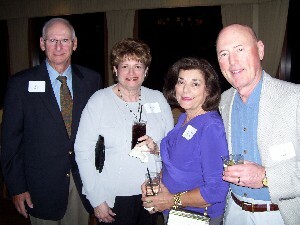 TO VIEW GALLERY PHOTOS: please move your cursor over any of the photos below to open the individual photo albums. 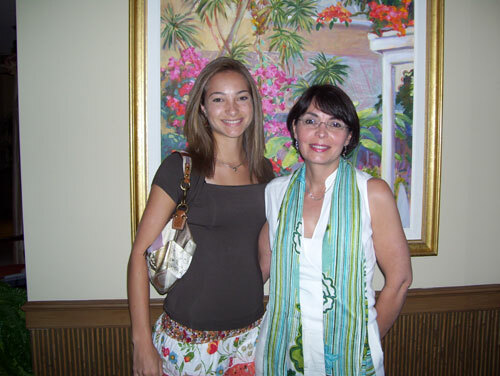 Click on the + sign to see more. 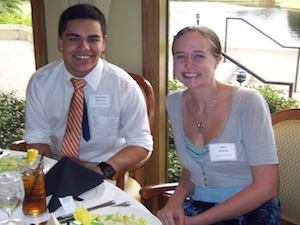 College scholarships were awarded to 34 Collier County students by The Founders Fund during an annual ice cream social held on April 26. 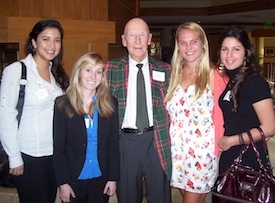 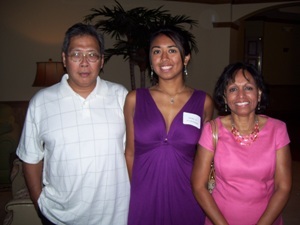 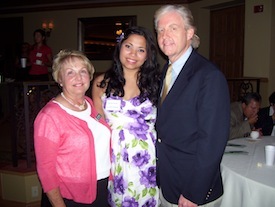 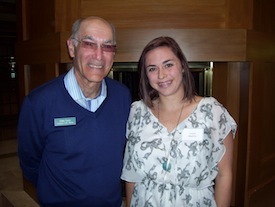 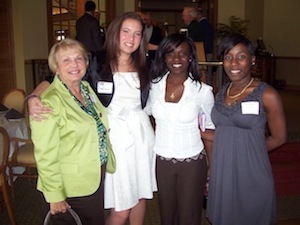 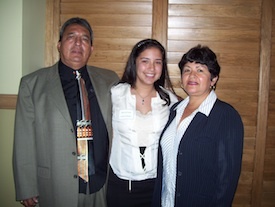 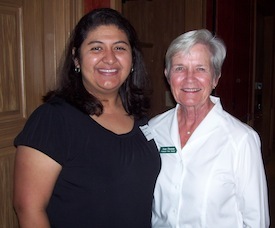 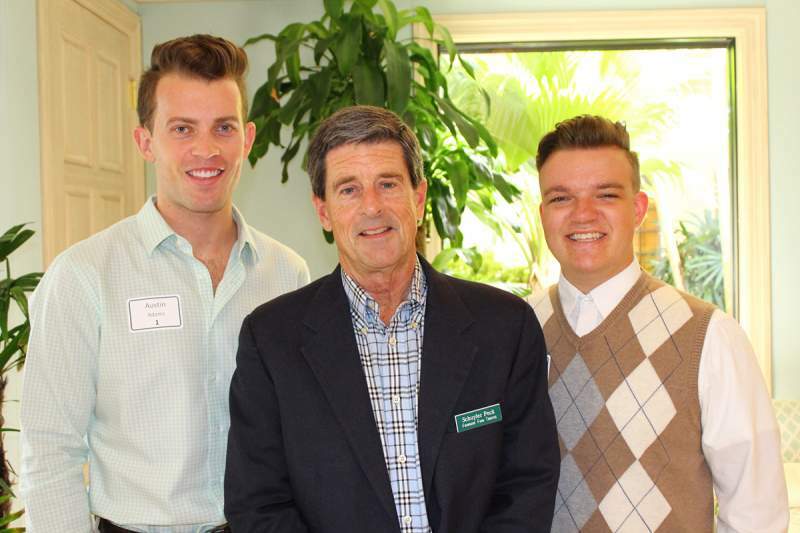 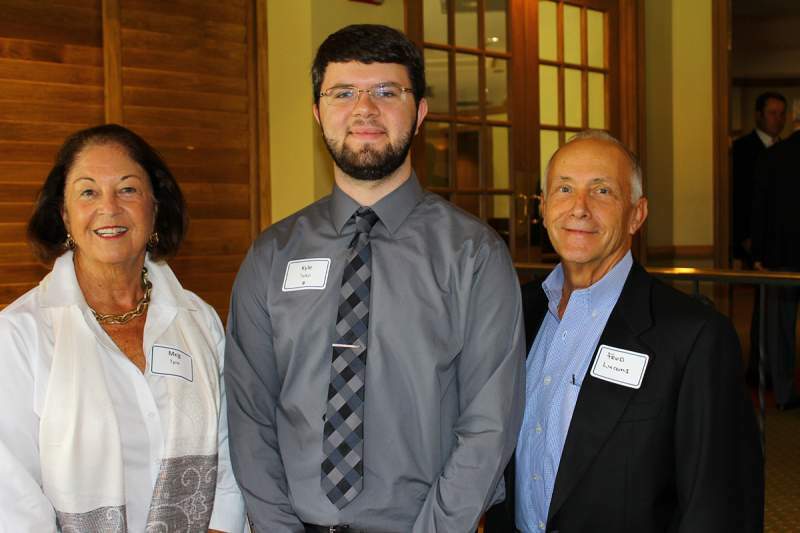 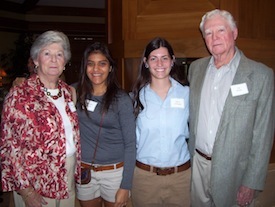 The Founders Fund awarded $340,000 in renewable scholarships to local students during their annual reception. 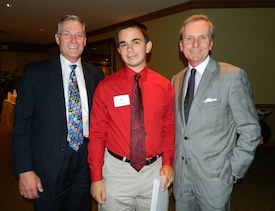 Each student will receive $2,500 per year for up to four years so long as they maintain a 3.0 average. 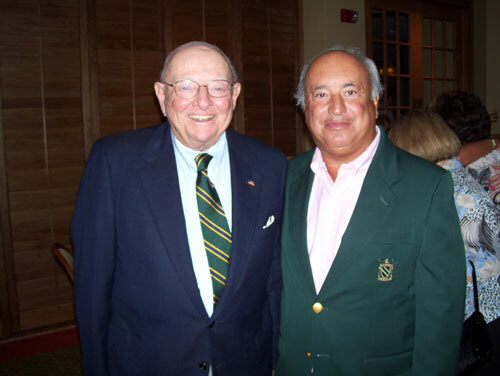 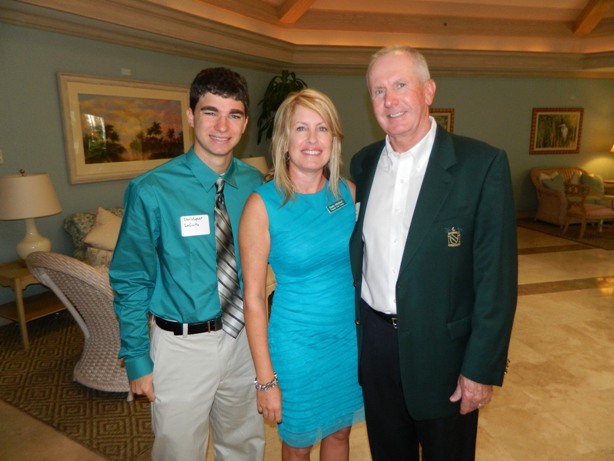 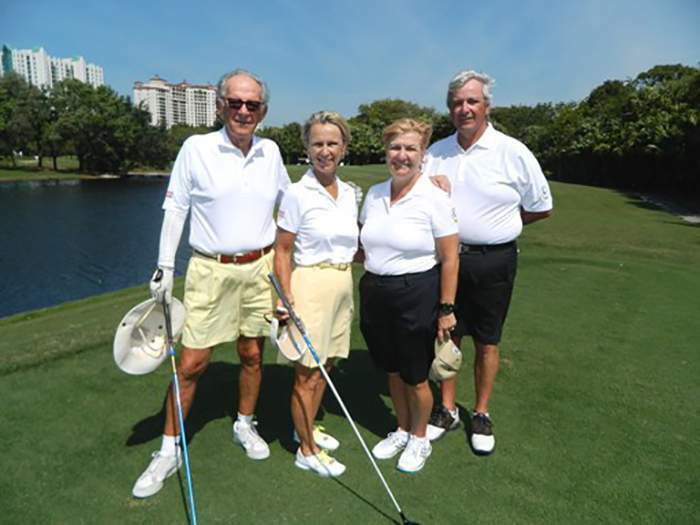 The Founders Fund raised over $640,000 for college scholarships at the Ed Brennan Memorial Golf Tournament and Banquet to benefit Collier County students. 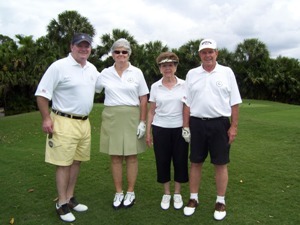 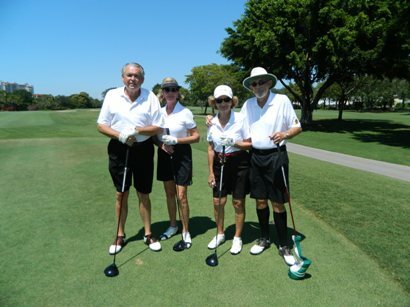 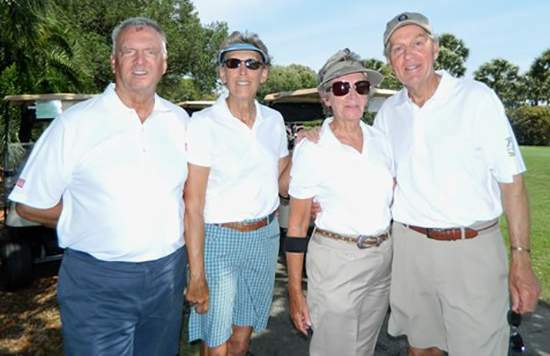 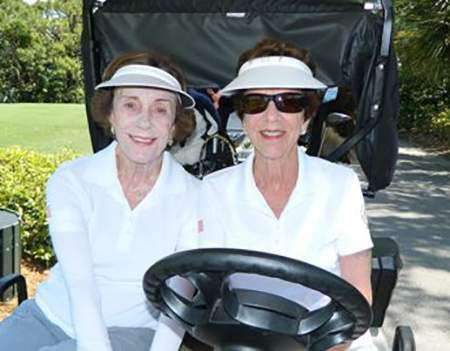 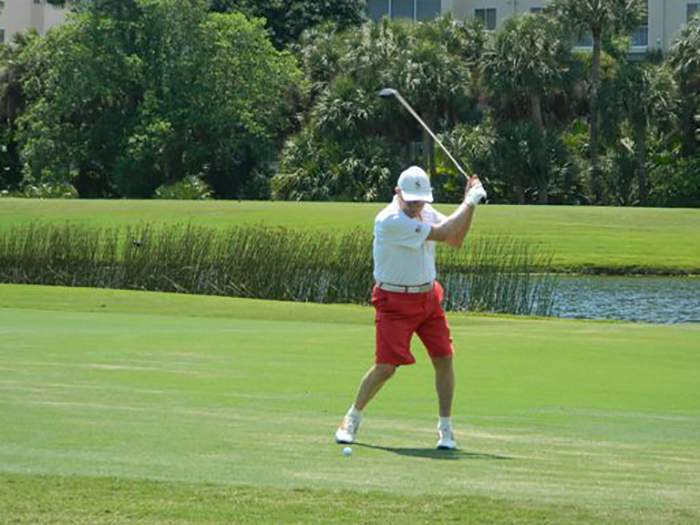 The two-day event was held at Club Pelican Bay with the golf tournament being held on April 10; nearly 200 golfers participated in the golf tournament. 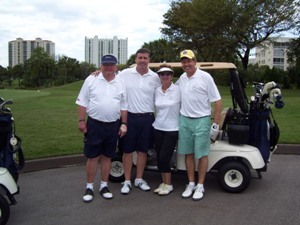 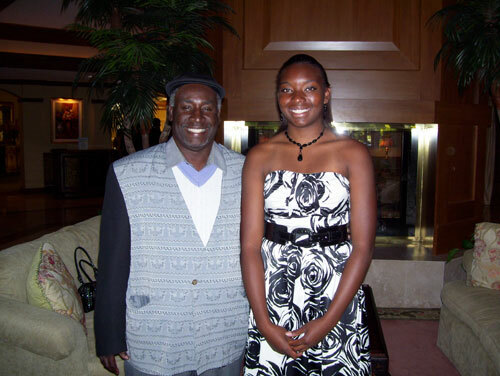 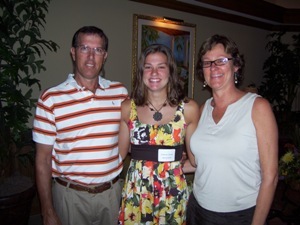 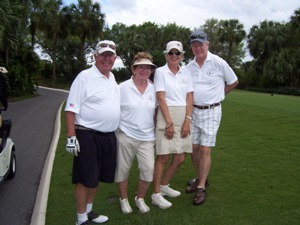 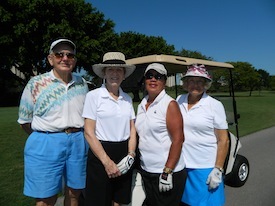 The tournament is held every other year to fund college scholarships for local Collier County, Florida students. 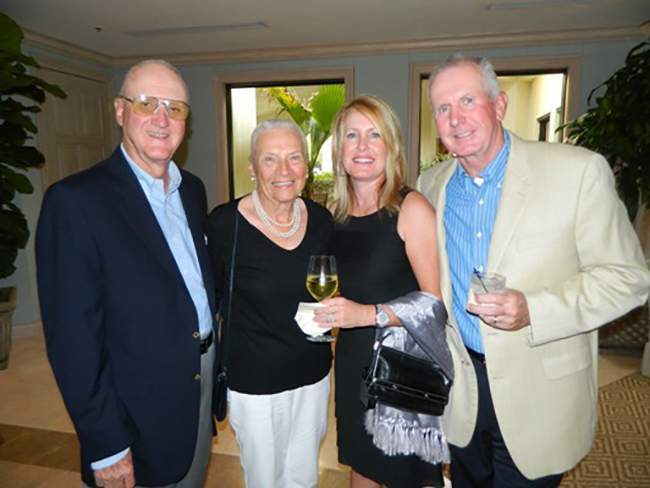 The Founders Fund raised over $640,000 for college scholarships at the Ed Brennan Memorial Golf Tournament and Banquet to benefit Collier County students. 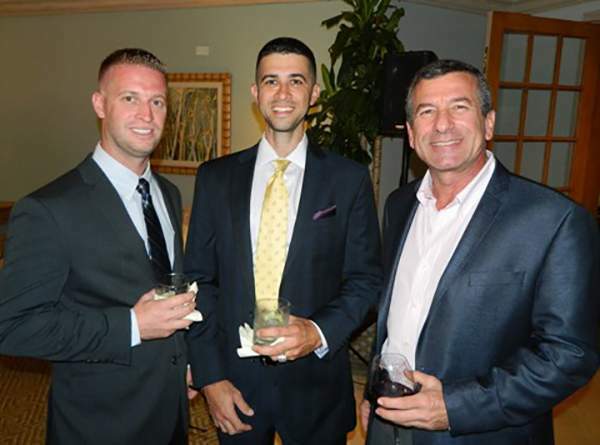 The two-day event was held at Club Pelican Bay with the banquet being held on April 9 over 270 guests were in attendance for the banquet. 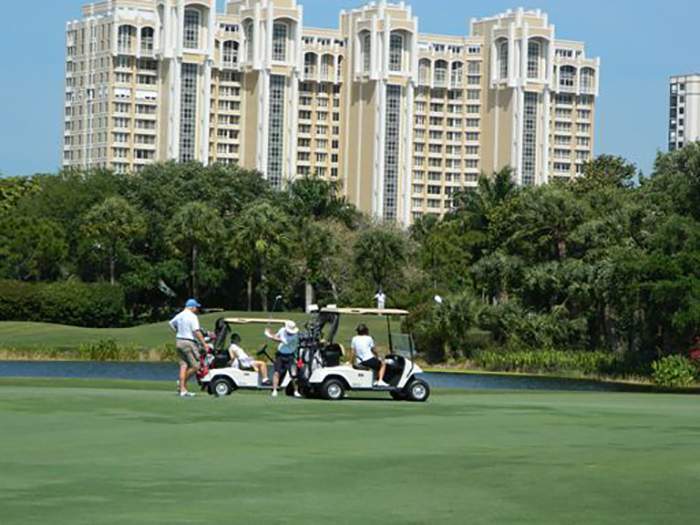 The tournament is held every other year to fund college scholarships for local Collier County, Florida students. 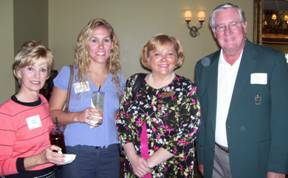 The Founders Fund held its annual High School Counselors Breakfast on January 24 for Collier County school counselors at Club Pelican Bay. 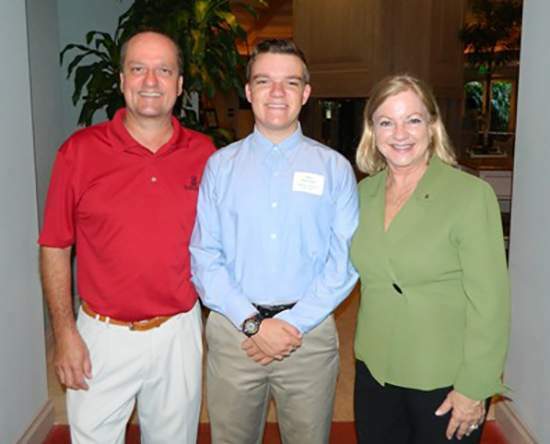 Several Founders Fund board members, along with 11 Collier County high school representatives, took part in the informational breakfast. 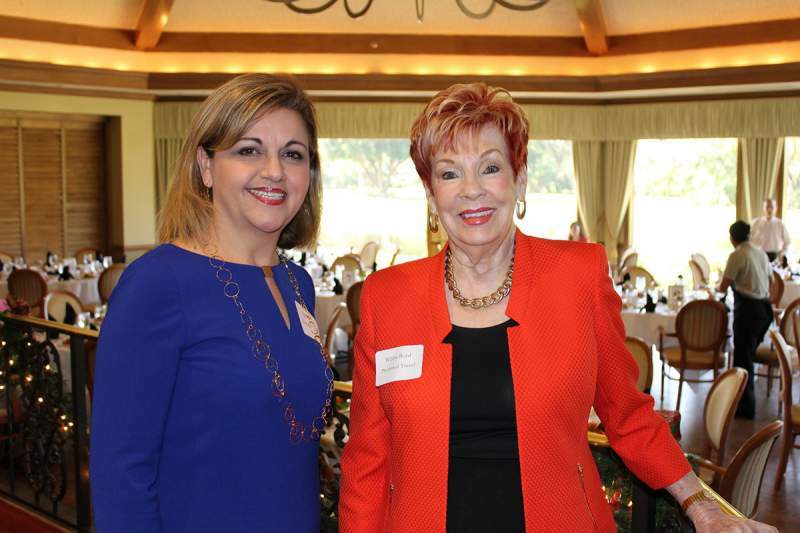 The Founders Fund held their annual Scholars Luncheon on Friday December 29, 2017 at the Club Pelican Bay with nearly 75 guests in attendance. 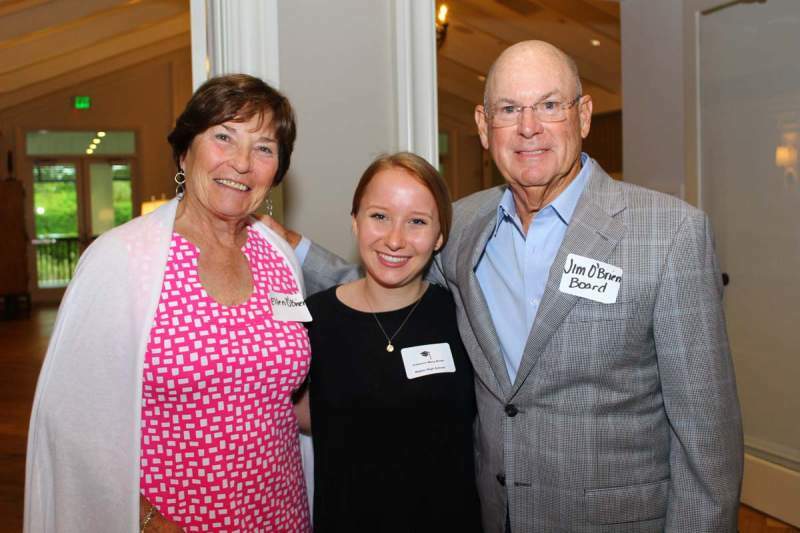 Scholarship recipients and benefactors of The Founders Fund gathered together at the annual event to celebrate the accomplishments and aspirations of the current scholarship students. 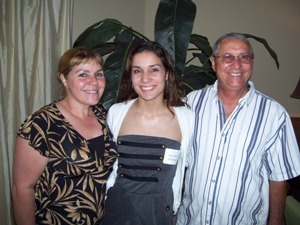 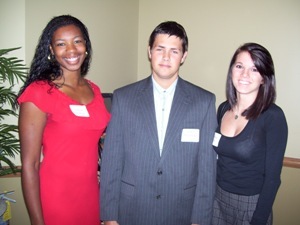 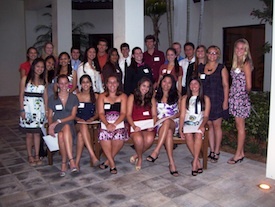 College scholarships were awarded to 37 Collier County students. 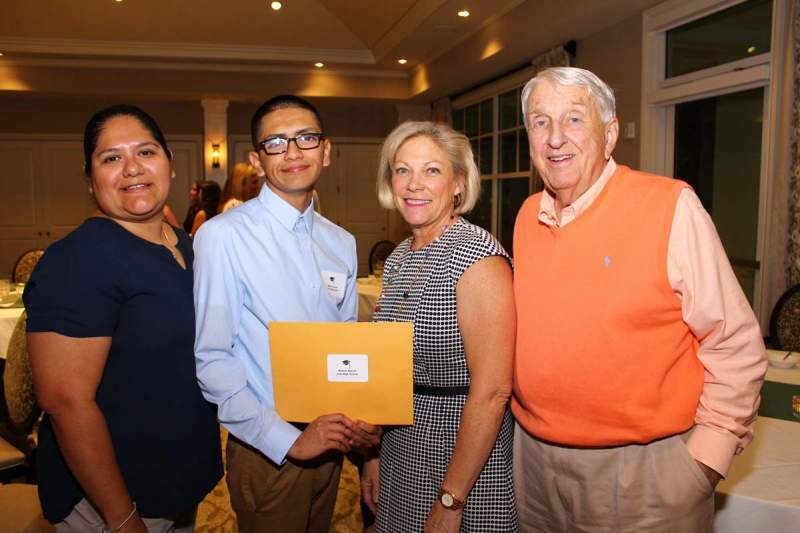 College scholarships were awarded to 37 Collier County students by The Founders Fund during an annual ice cream social held on April 20. 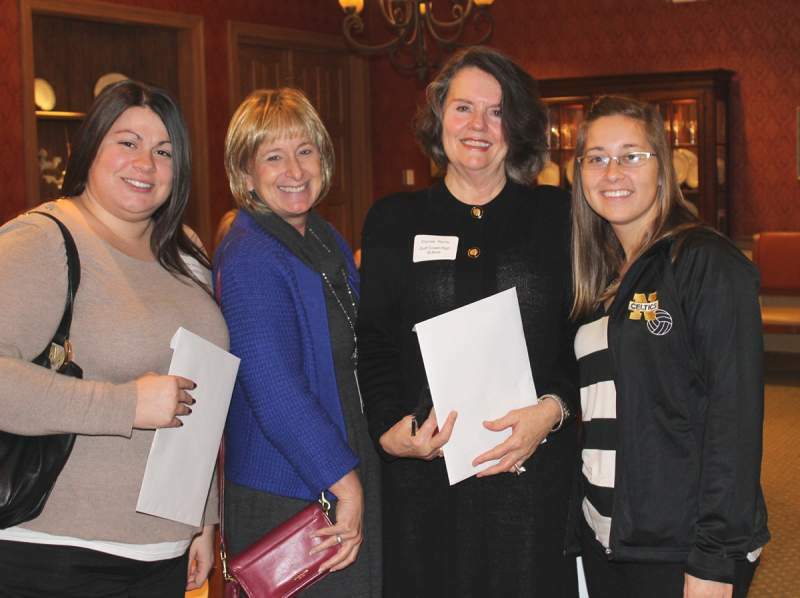 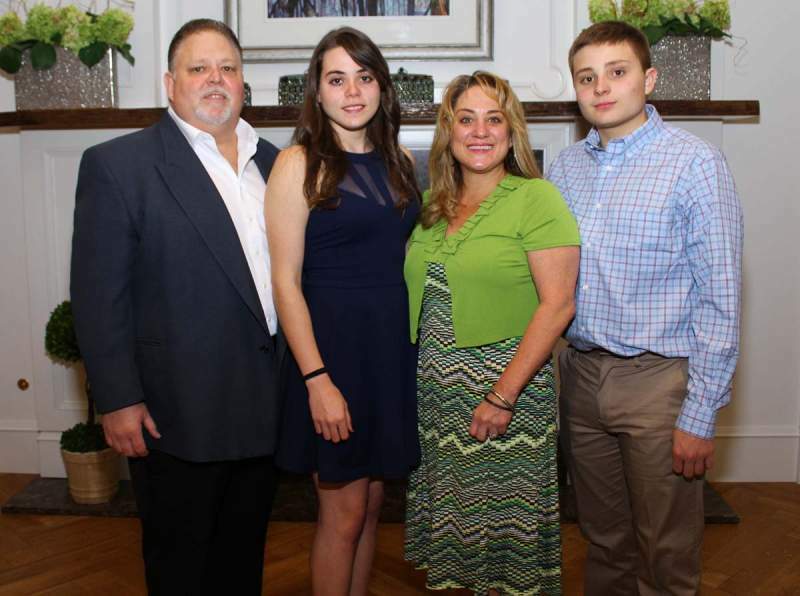 The Founders Fund awarded $370,000 in renewable scholarships to local students during their annual reception which honors scholarship recipients and their families. 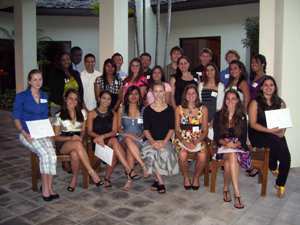 Each student was presented with a renewable scholarship in the amount of $2,500 per academic year totaling a $10,000 overall scholarship. 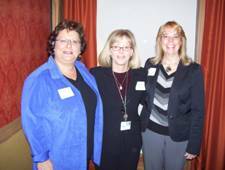 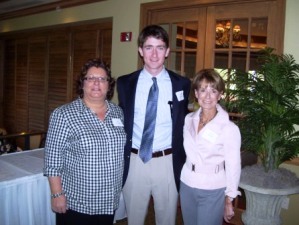 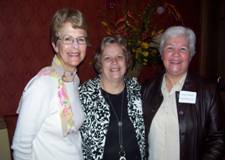 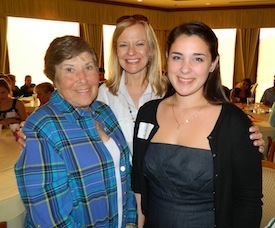 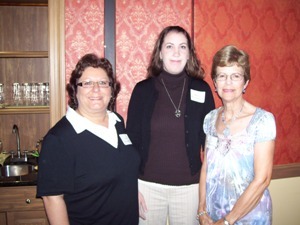 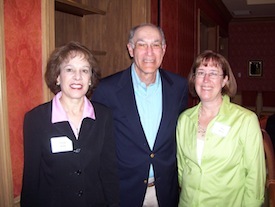 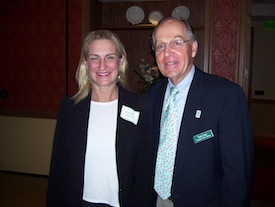 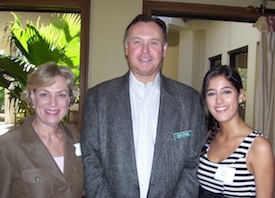 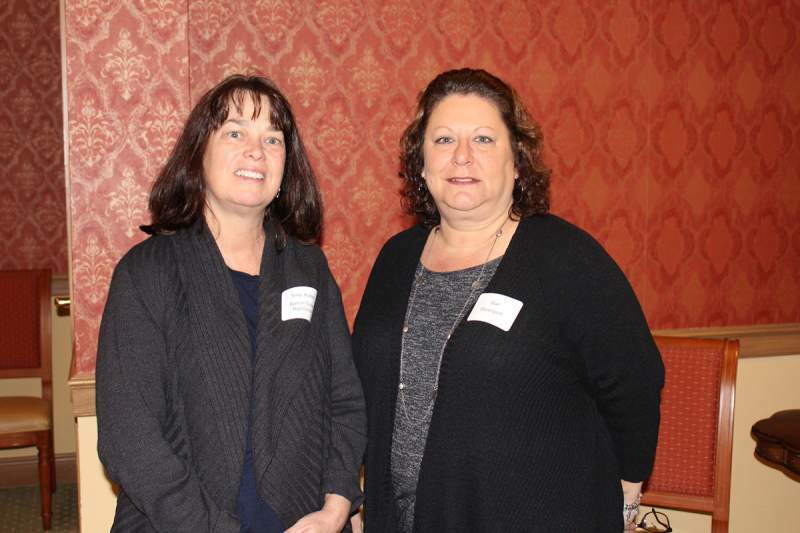 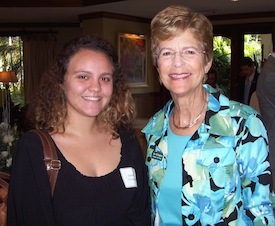 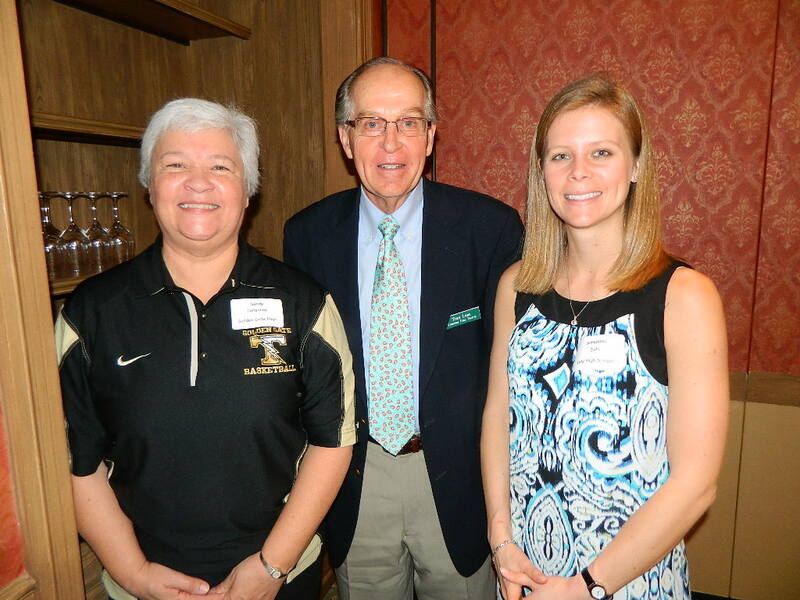 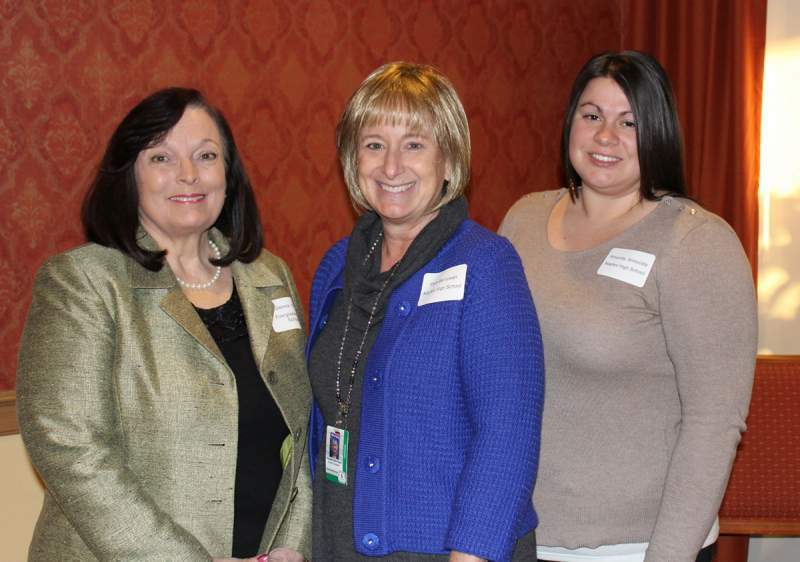 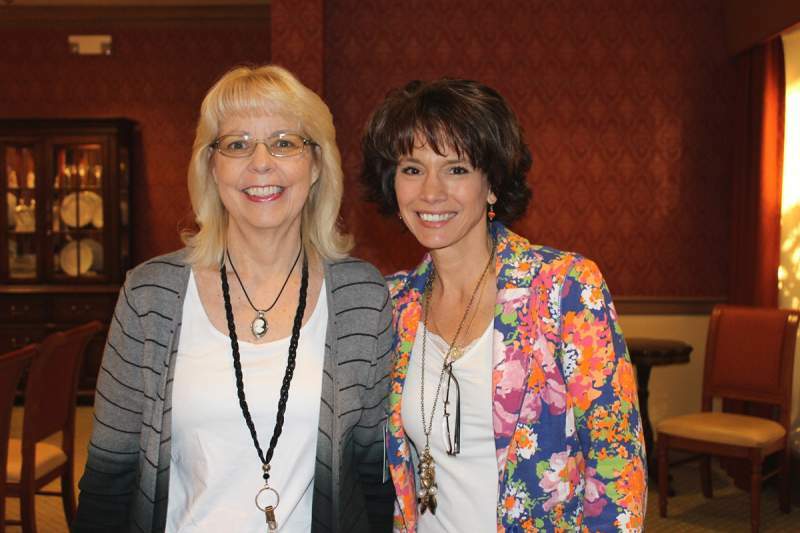 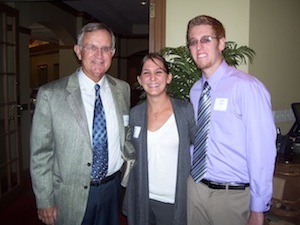 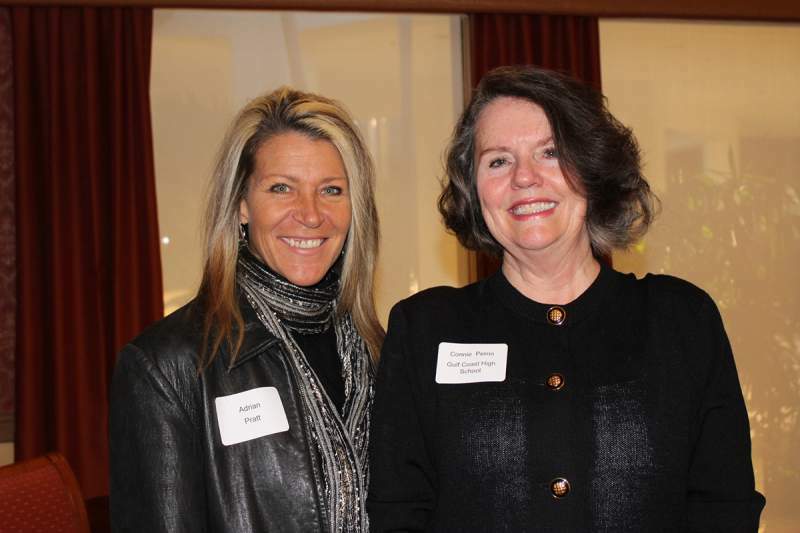 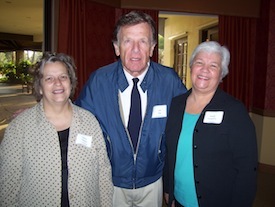 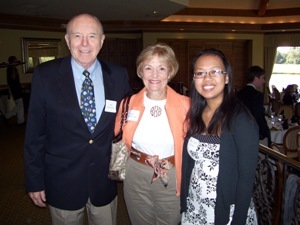 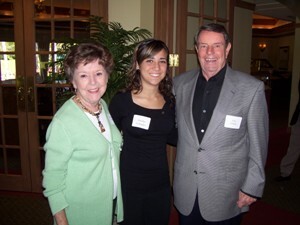 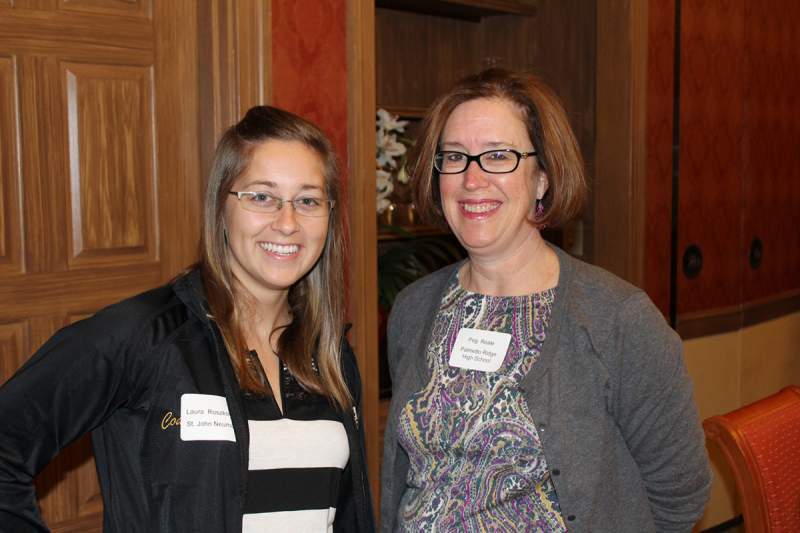 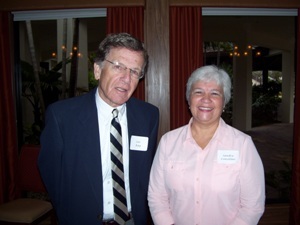 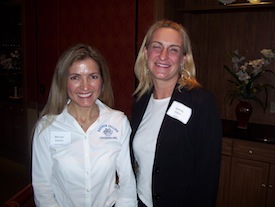 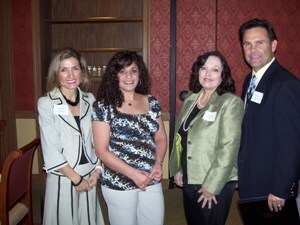 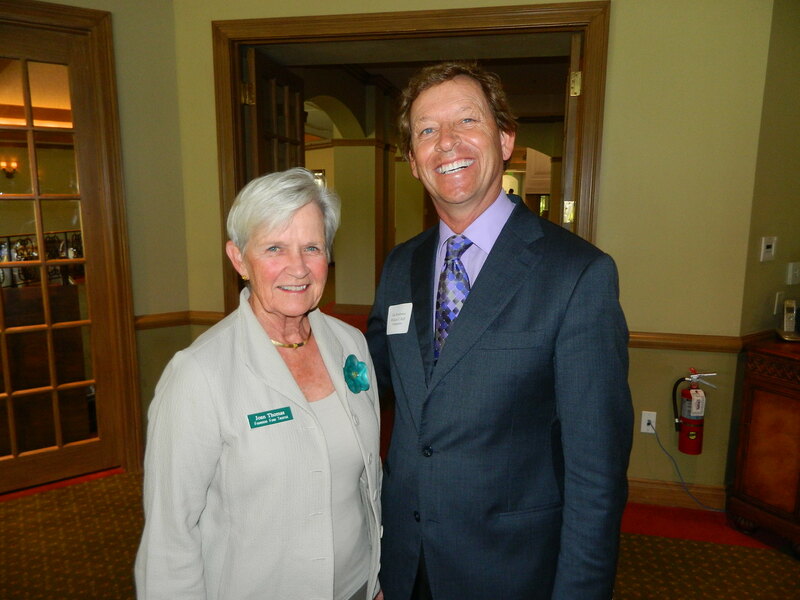 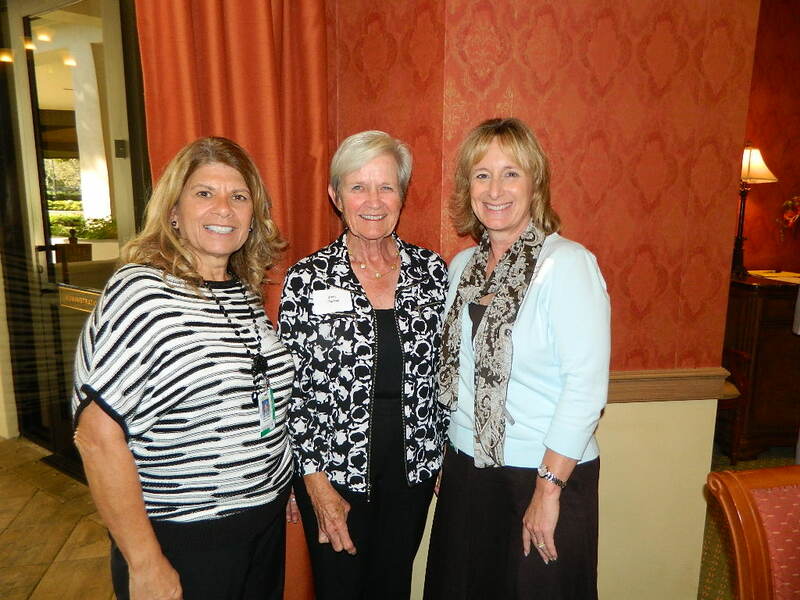 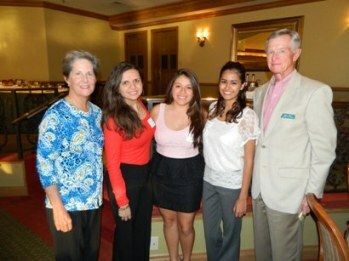 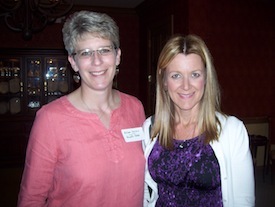 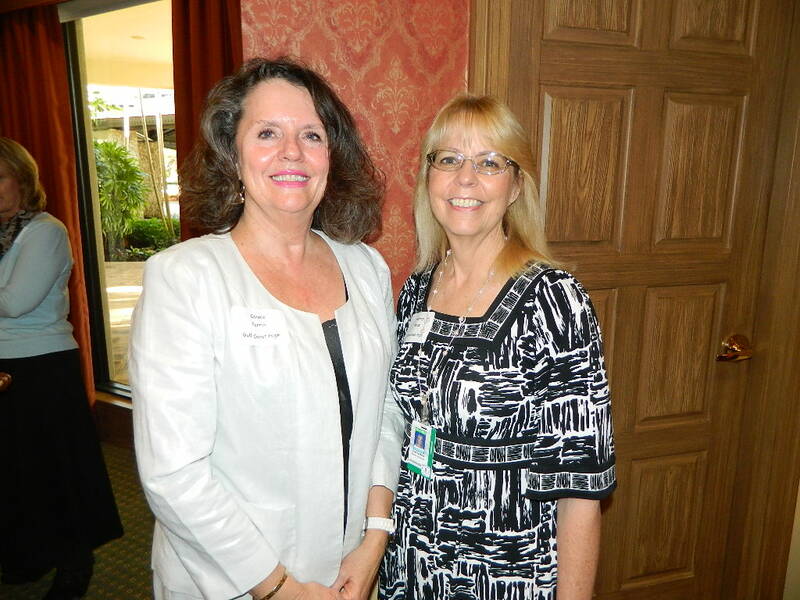 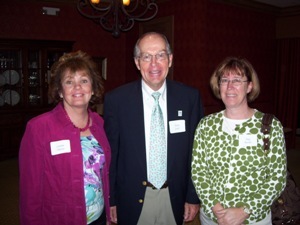 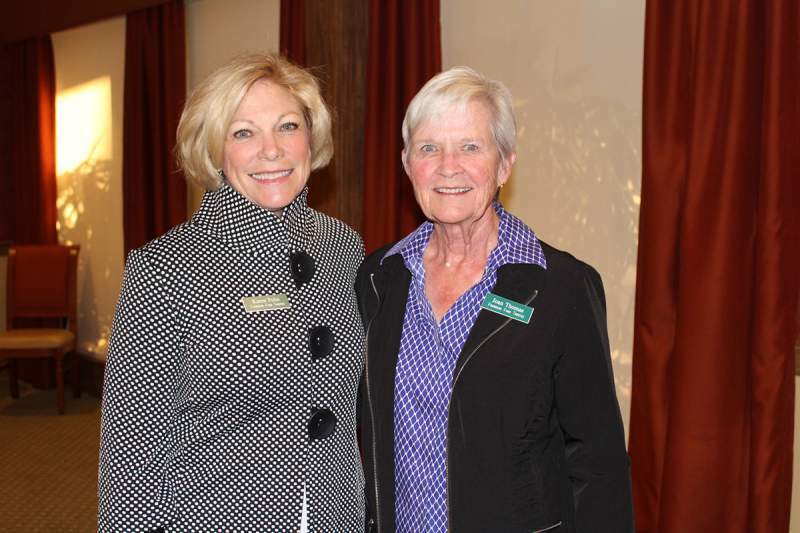 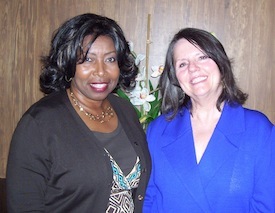 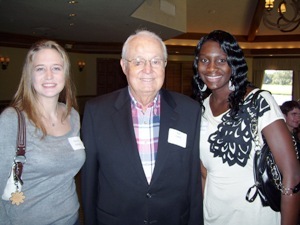 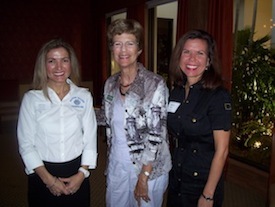 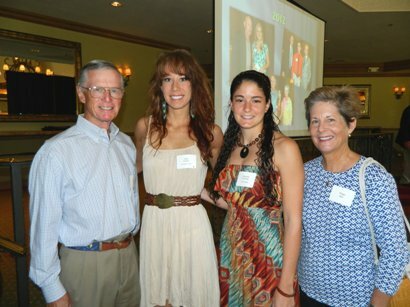 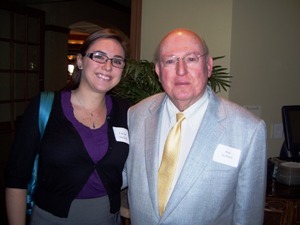 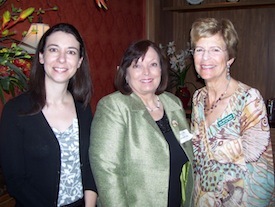 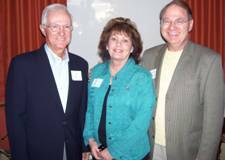 The Founders Fund held its annual High School Counselors Breakfast on January 25 for Collier County counselors. 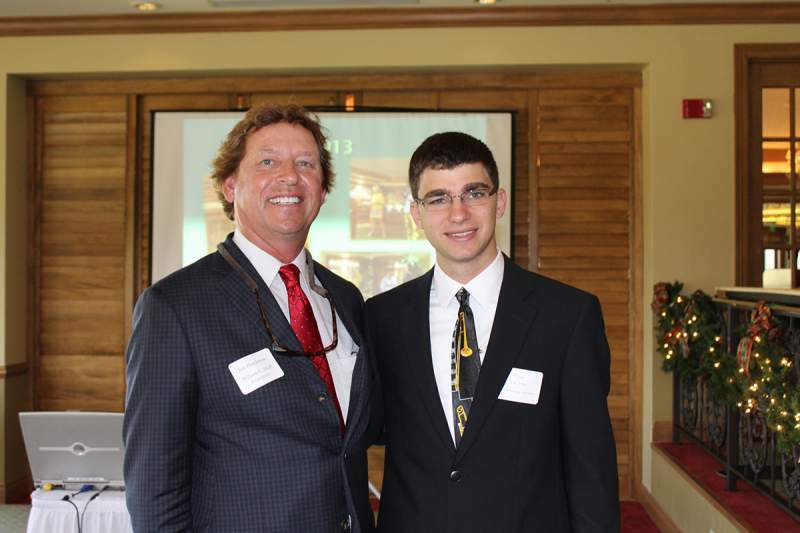 Several Founders Fund board members, along with 10 Collier County high school representatives, took part in the informational breakfast. 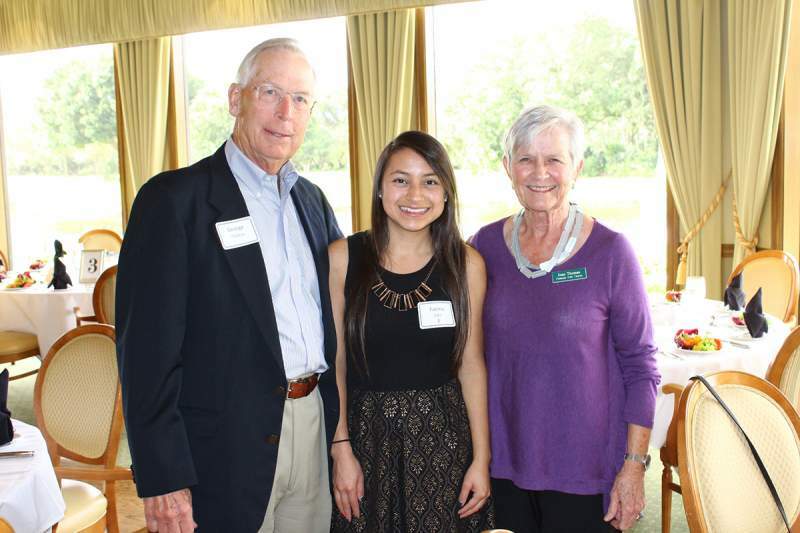 Scholarship recipients and benefactors of The Founders Fund gathered for their Annual Scholars Luncheon on December 30 at Club Pelican Bay. 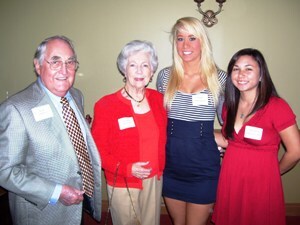 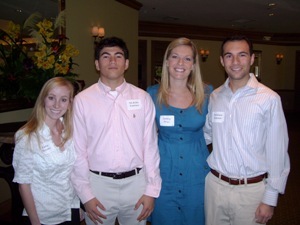 The luncheon is held each year to celebrate the accomplishments of the scholarship students. 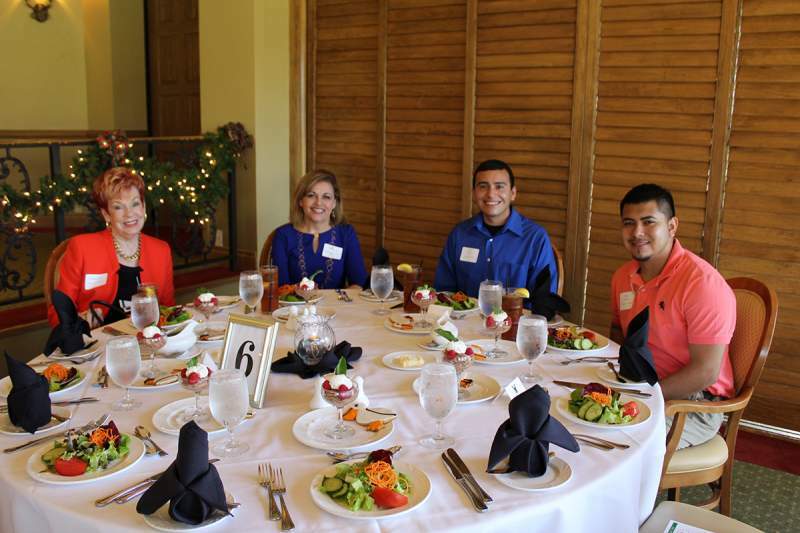 Out of the 100 Founders Fund students currently attending college, there were 28 students home for the holidays who attended the luncheon. 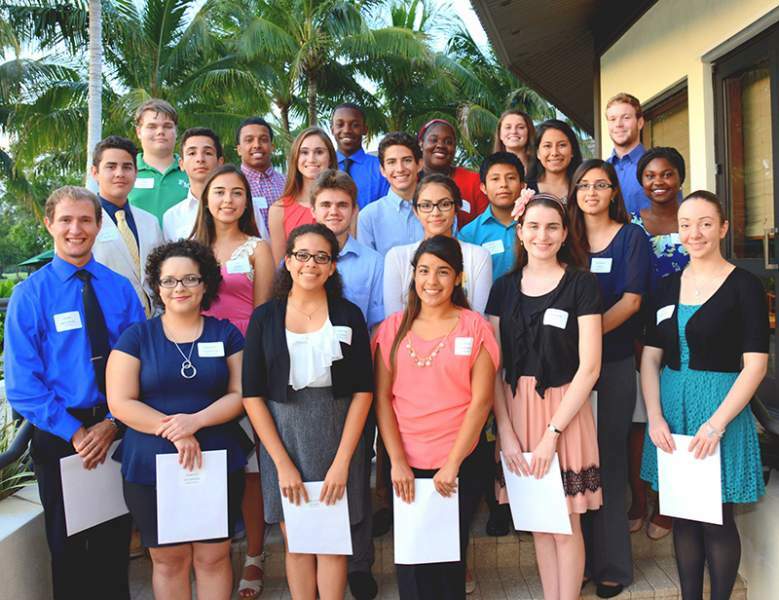 The Founders Fund, Inc. awarded scholarships to 27 Collier County students on April 21, 2016. 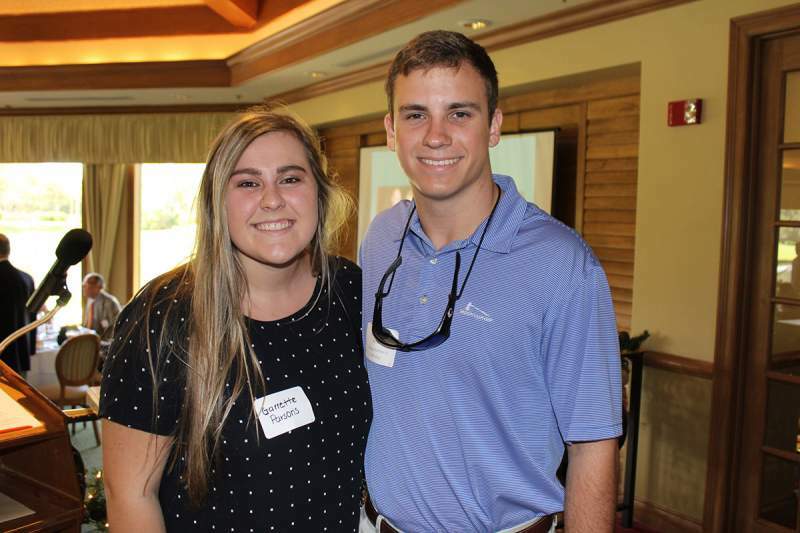 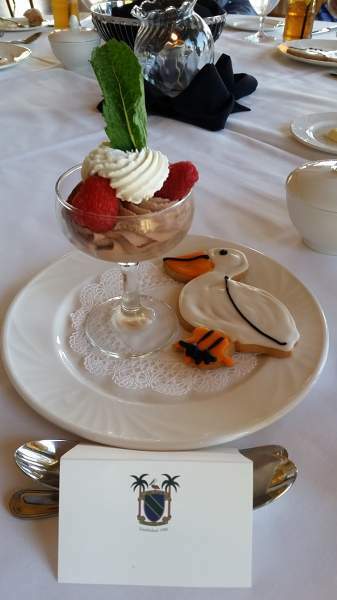 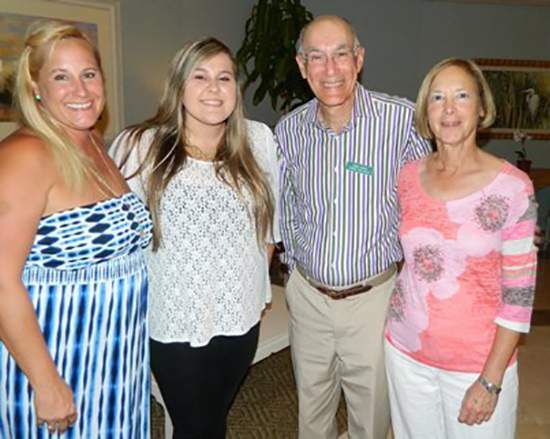 The annual ice cream social reception and scholarship presentation was held at Club Pelican Bay to honor scholarship recipients and their families. 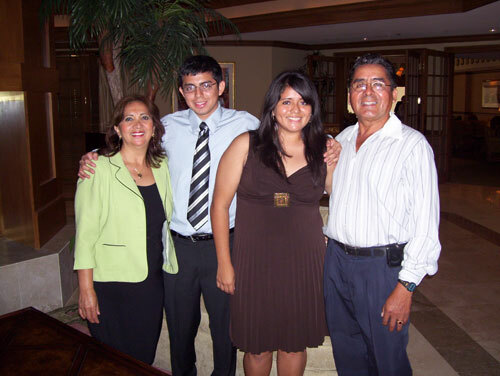 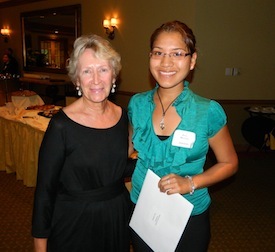 Each student was presented with a four-year renewable scholarship in the total amount of $8,000. 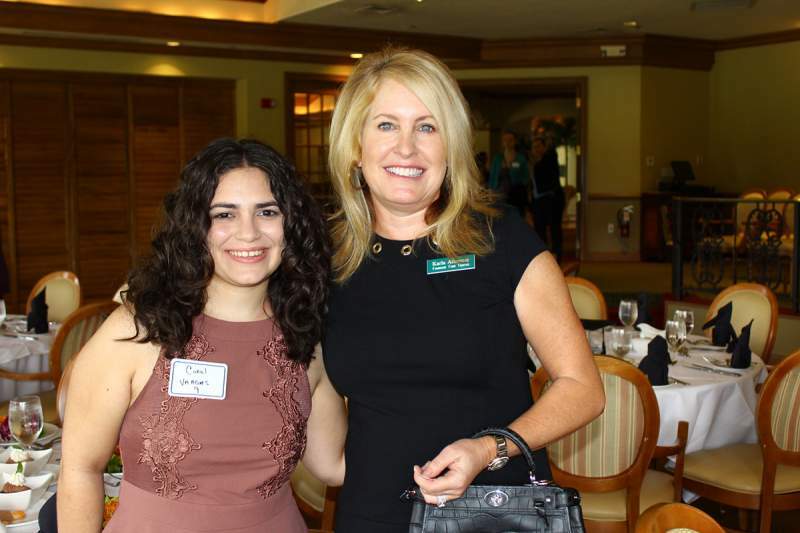 The Founders Fund held its annual High School Counselors Breakfast at Club Pelican Bay on January 22 for Collier County counselors, along with several Founders Fund board members. 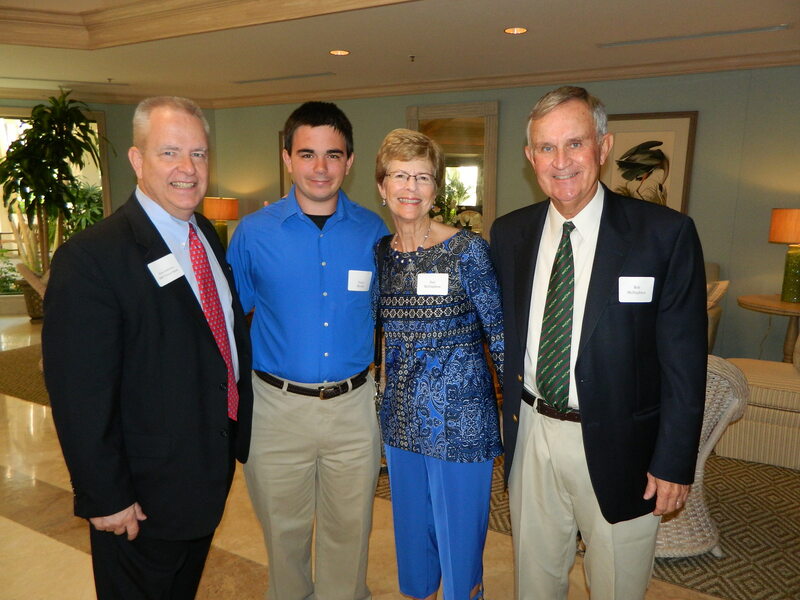 There were 11 Collier County high schools represented at the annual informational breakfast along with several Founders Fund board members. 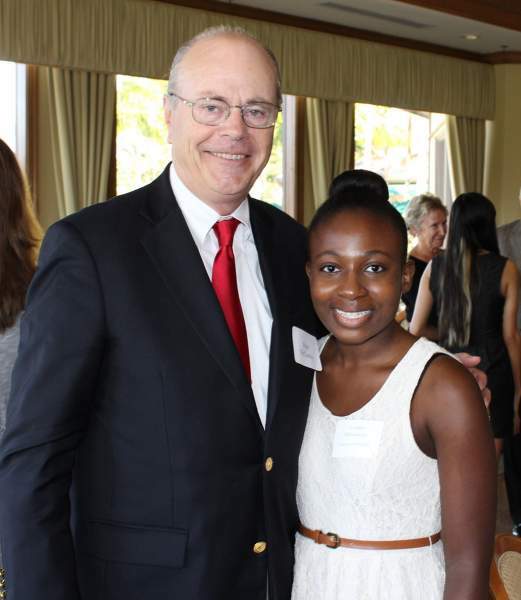 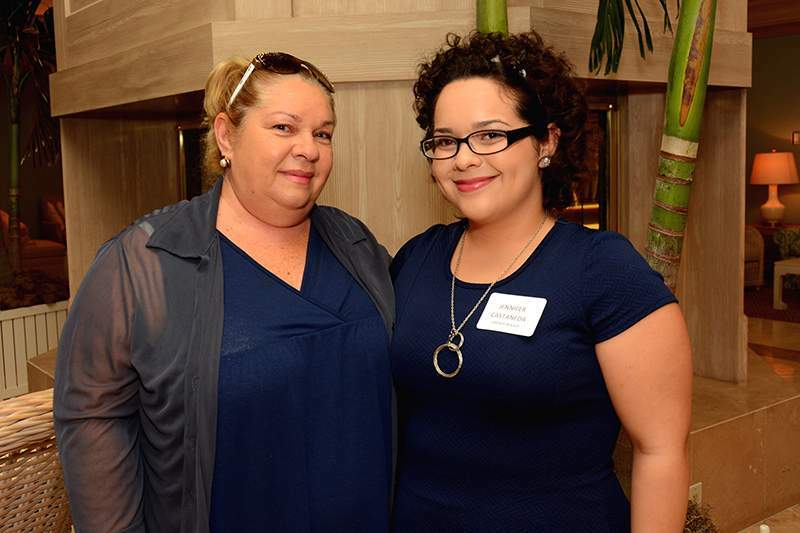 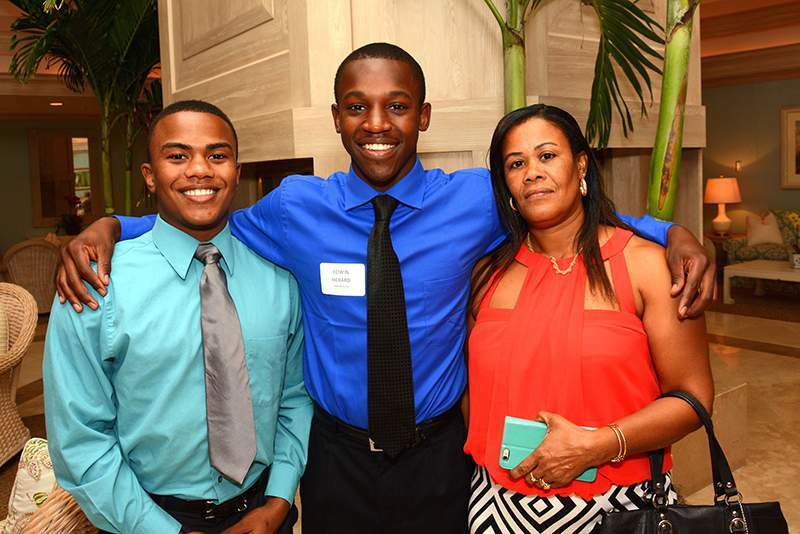 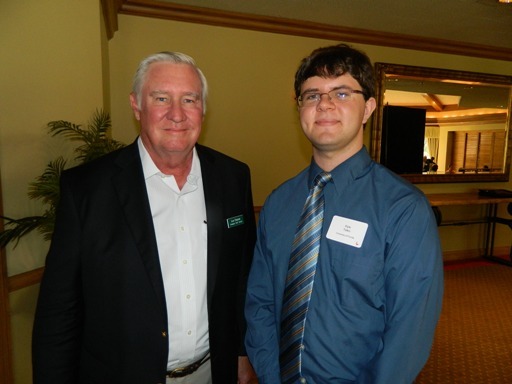 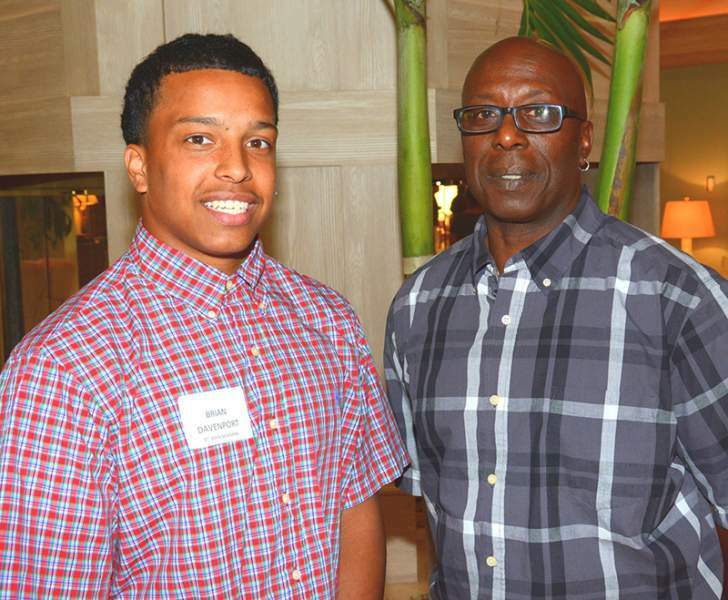 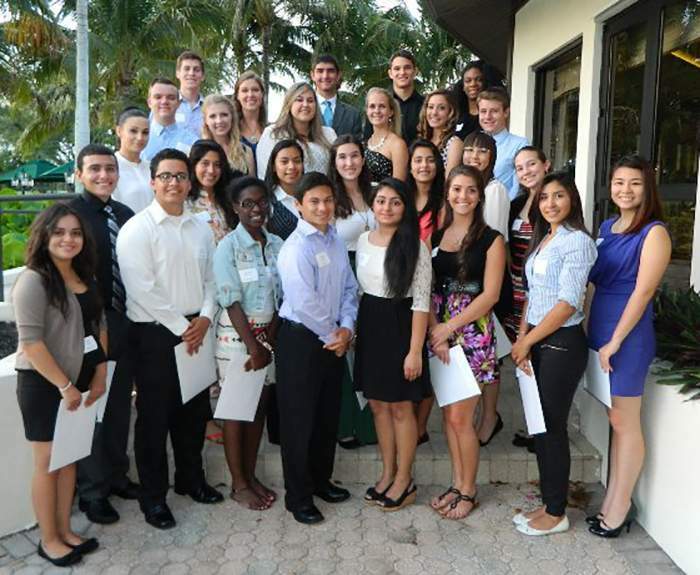 The Founders Fund, Inc. awarded scholarships to 27 Collier County students on April 23, 2015. 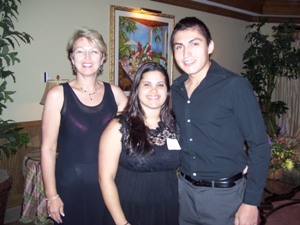 The annual ice cream social reception and scholarship presentation was held at Club Pelican Bay to honor scholarship recipients and their families. 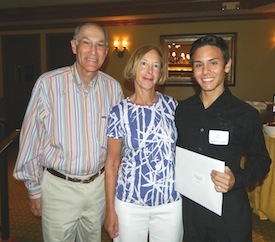 Each student was presented with a four-year renewal scholarship in the amount of $8,000. 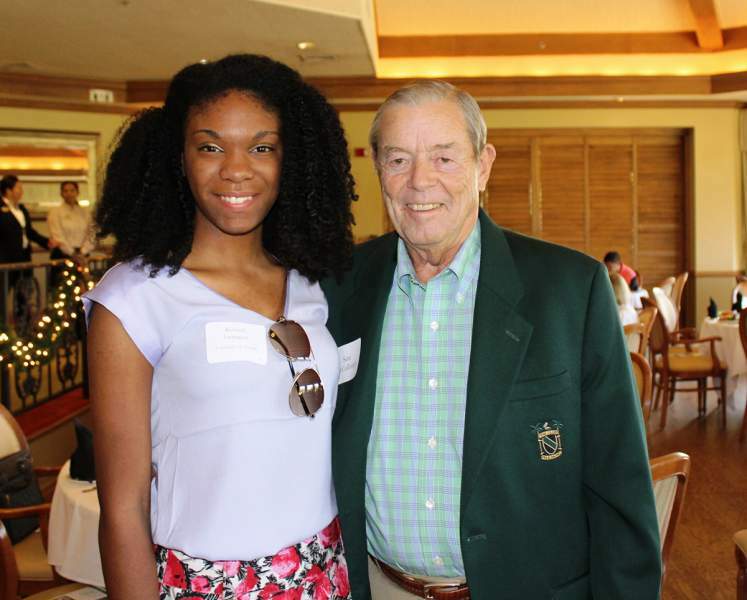 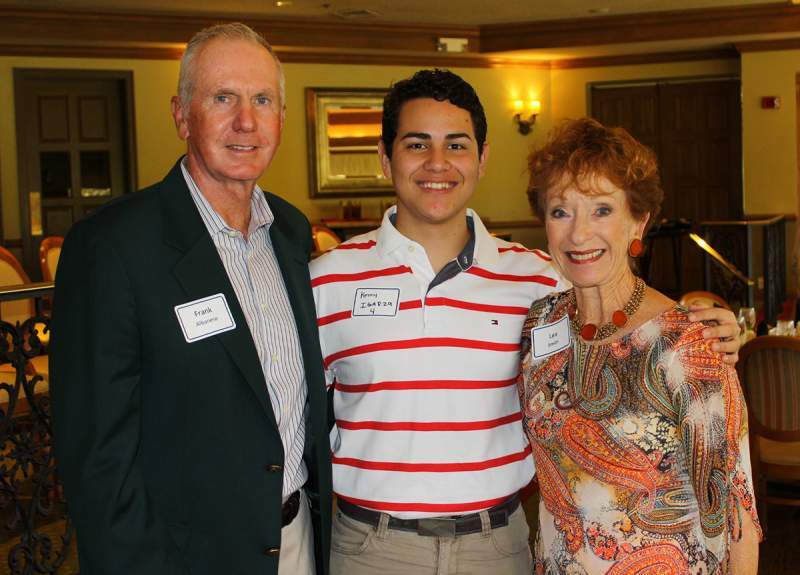 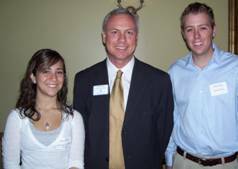 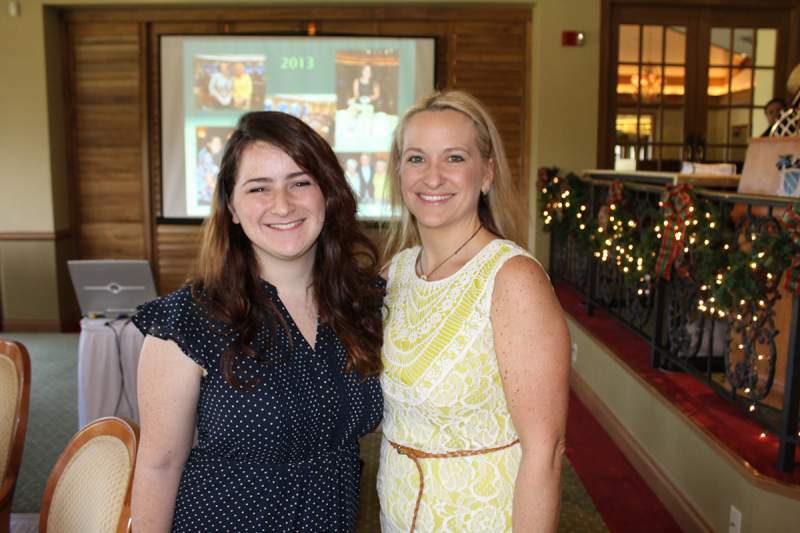 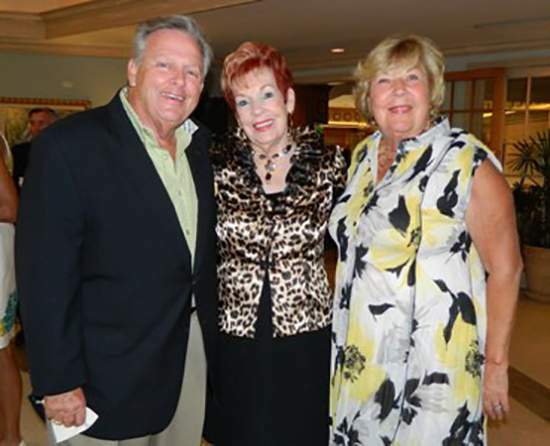 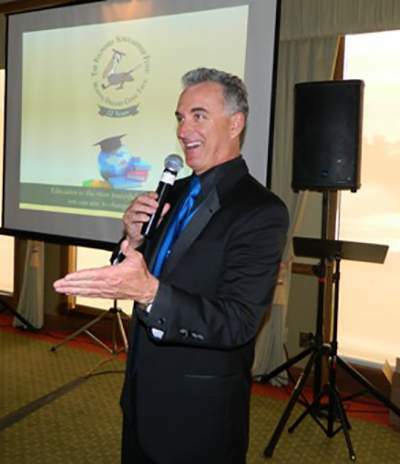 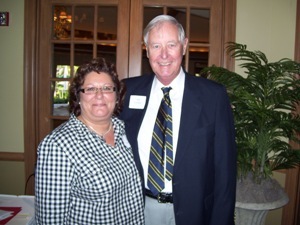 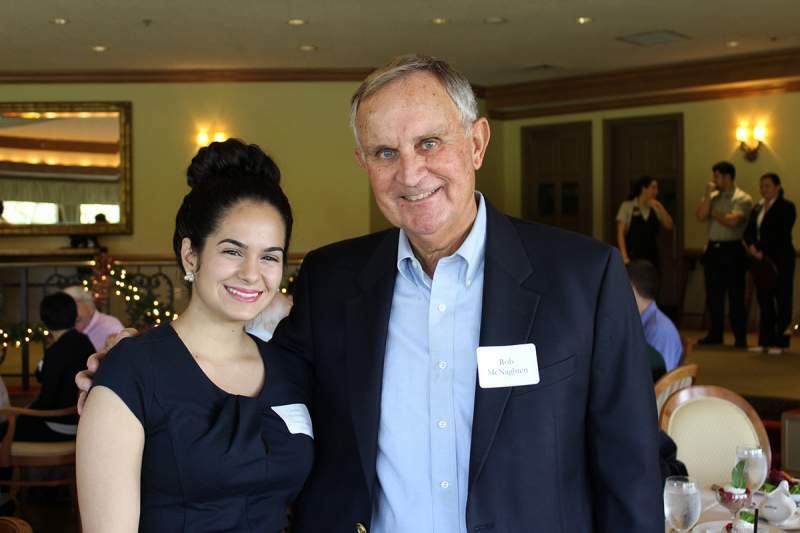 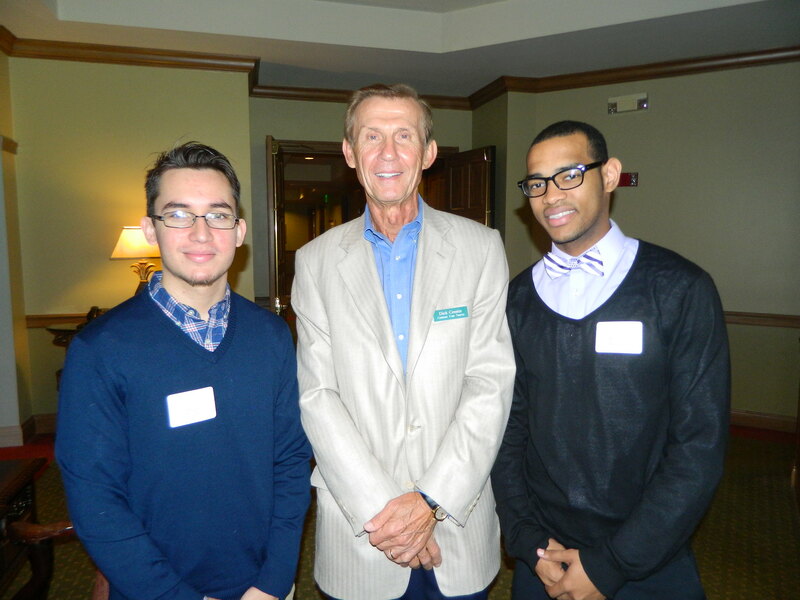 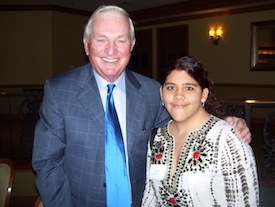 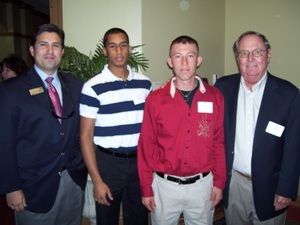 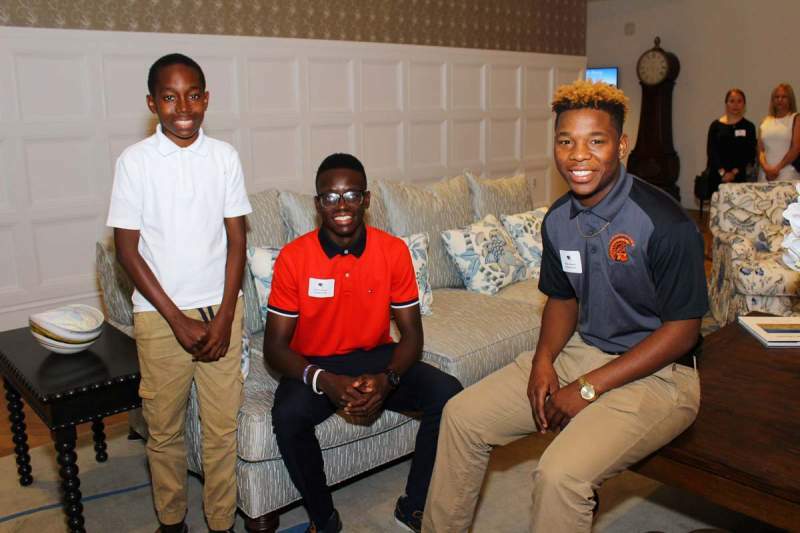 (Naples, FL – January 29, 2014) The Founders Fund, Inc., a Naples based non-profit organization that grants scholarships to Collier County students, recently held its annual High School Counselors Breakfast at Club Pelican Bay on January 28, 2015. 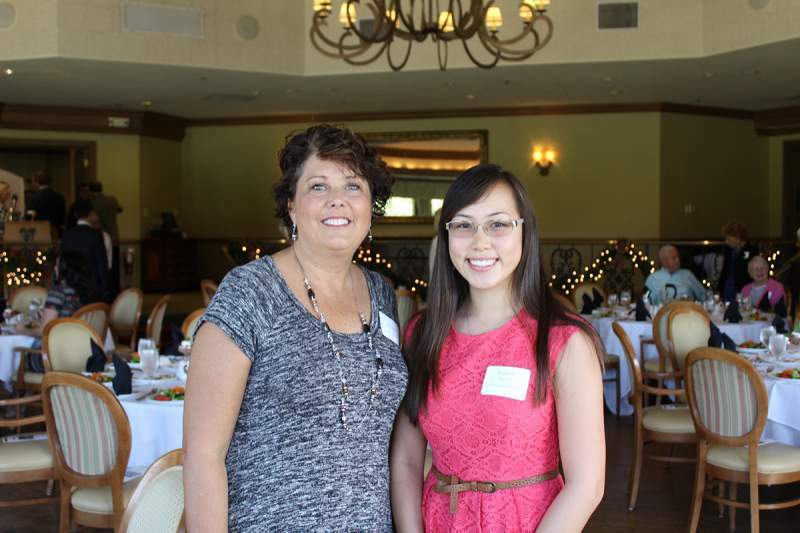 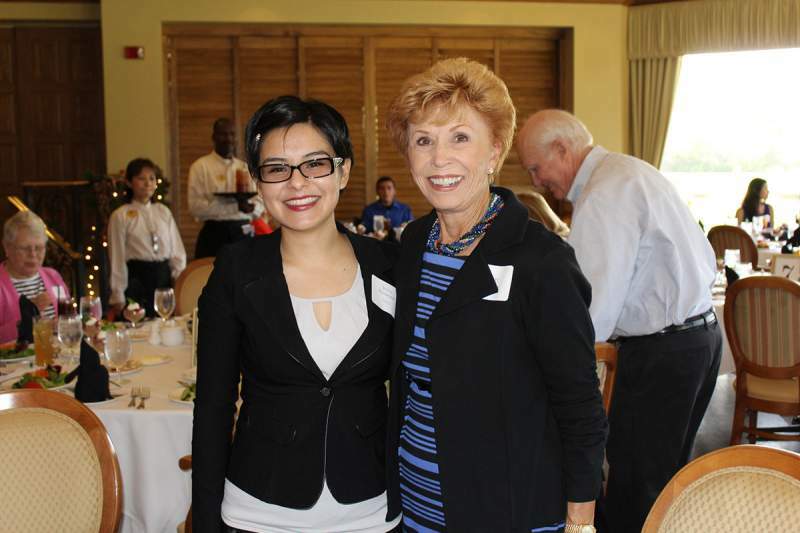 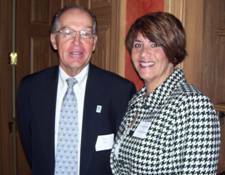 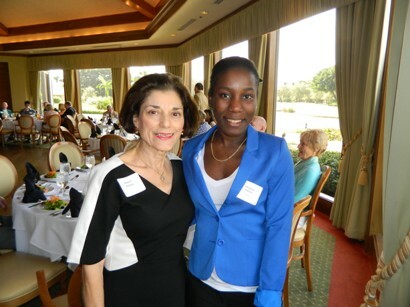 The Founders Fund held their Annual Scholars Luncheon on December 30, 2014, at Club Pelican Bay. 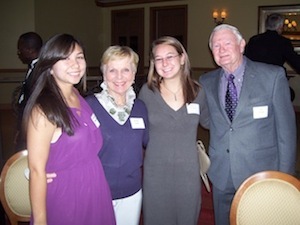 Students, sponsors, trustees and benefactors gathered to celebrate and recognize student accomplishments. 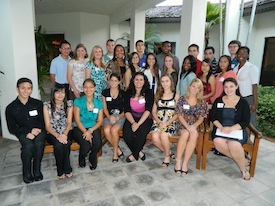 Nearly 100 guests were in attendance including 34 scholarship students. 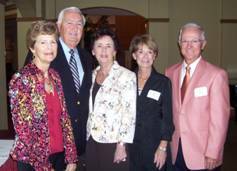 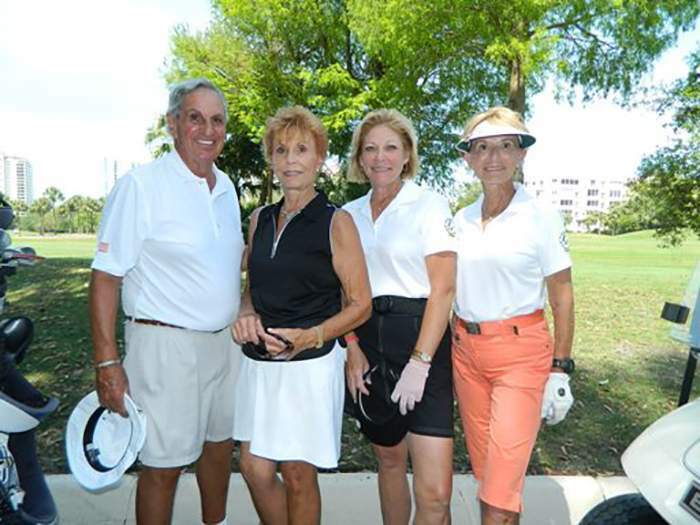 Over a half-million dollars was raised for scholarships at the The Founders Fund golf tournament held on April 7, 2014 at Club Pelican Bay. 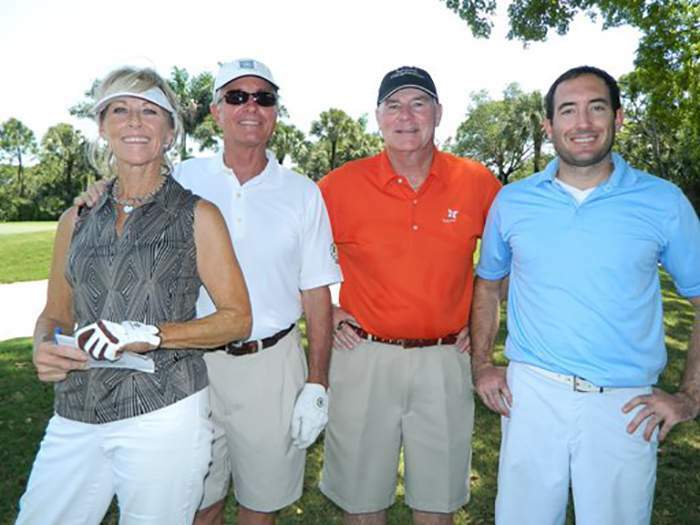 The tournament is held every other year to fund college scholarships for local Collier County, Florida students. 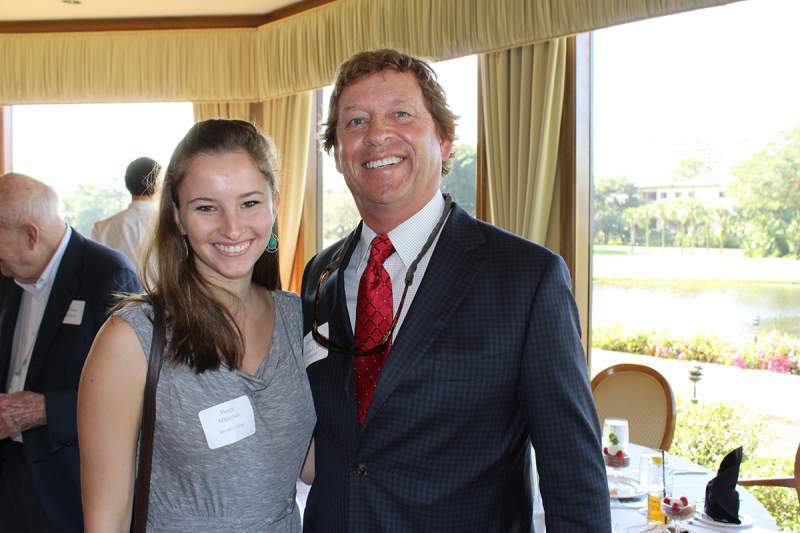 Students, sponsors, trustees and benefactors of The Founders Fund gathered for the 2014 Annual Scholars Luncheon on January 2 at Club Pelican Bay. 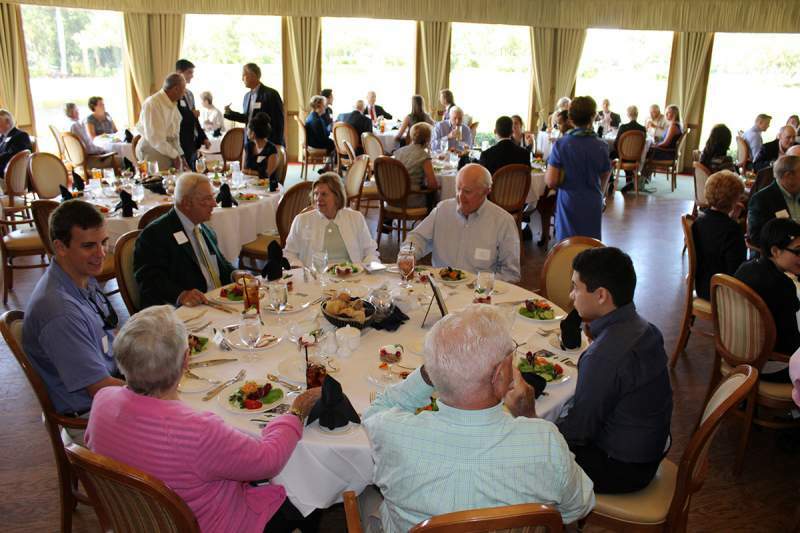 There were nearly 100 guests in attendance. 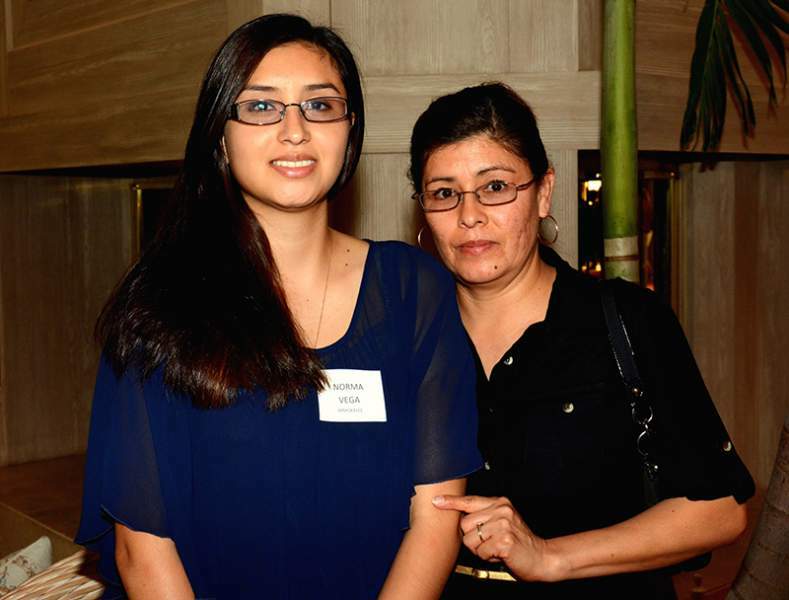 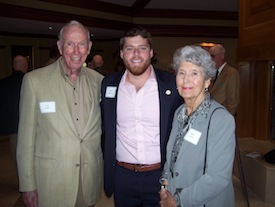 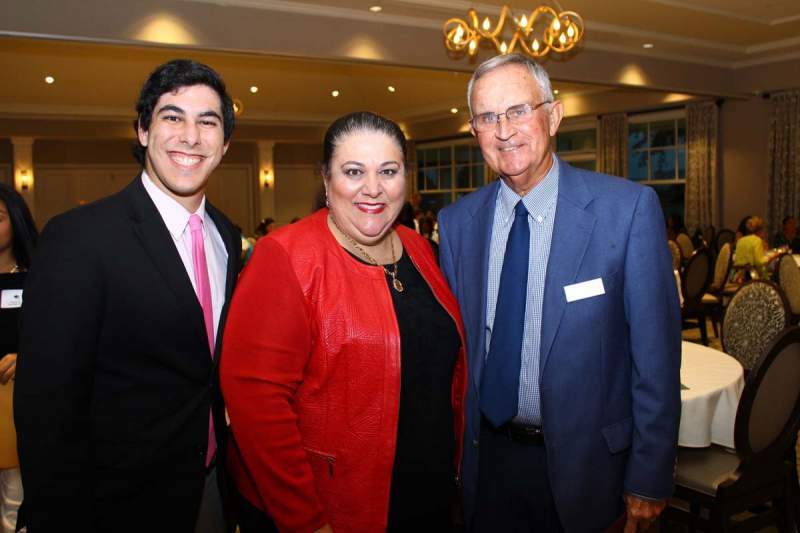 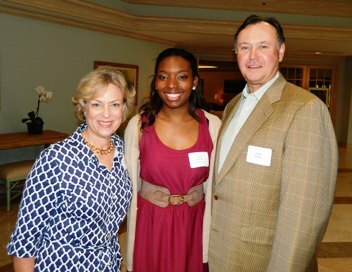 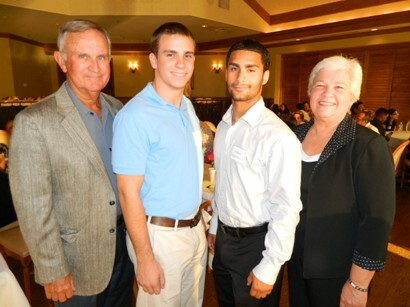 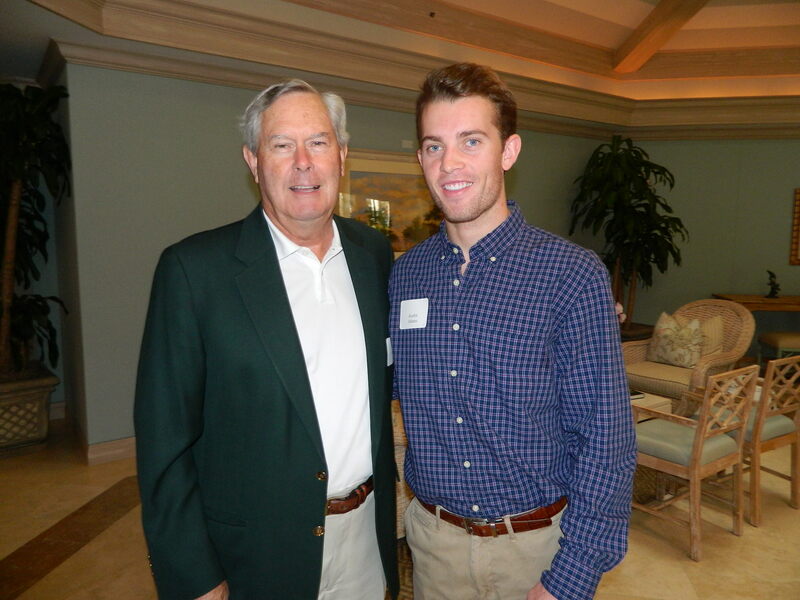 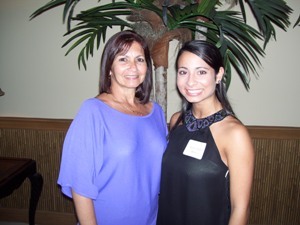 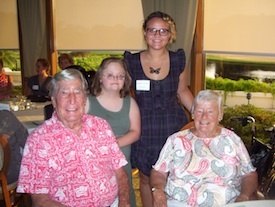 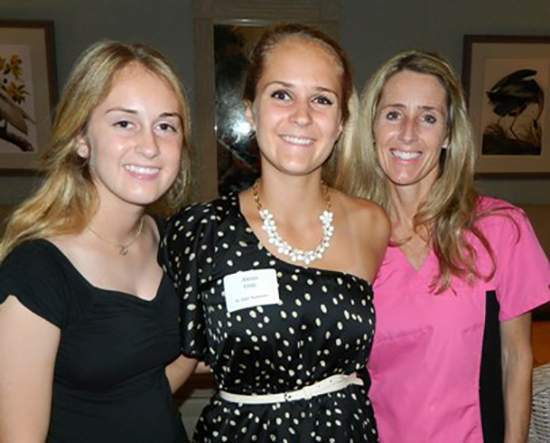 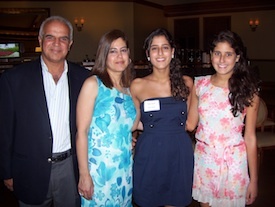 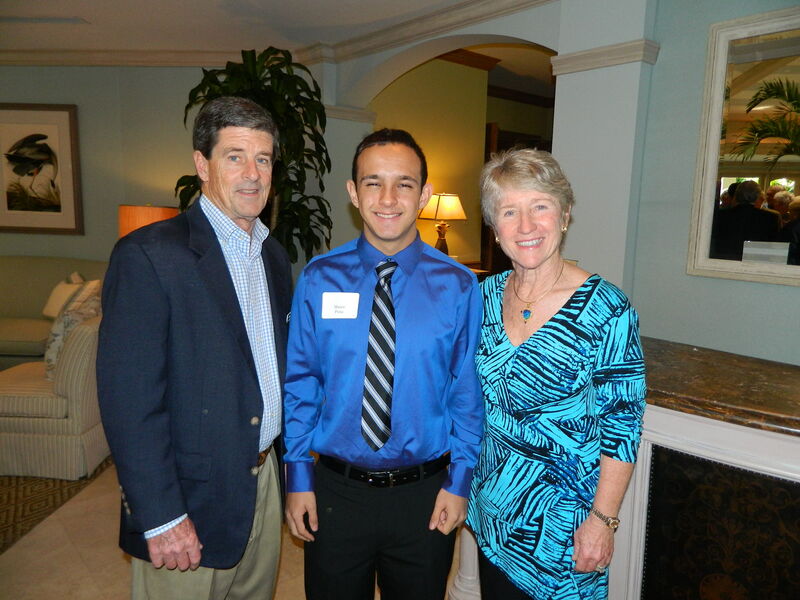 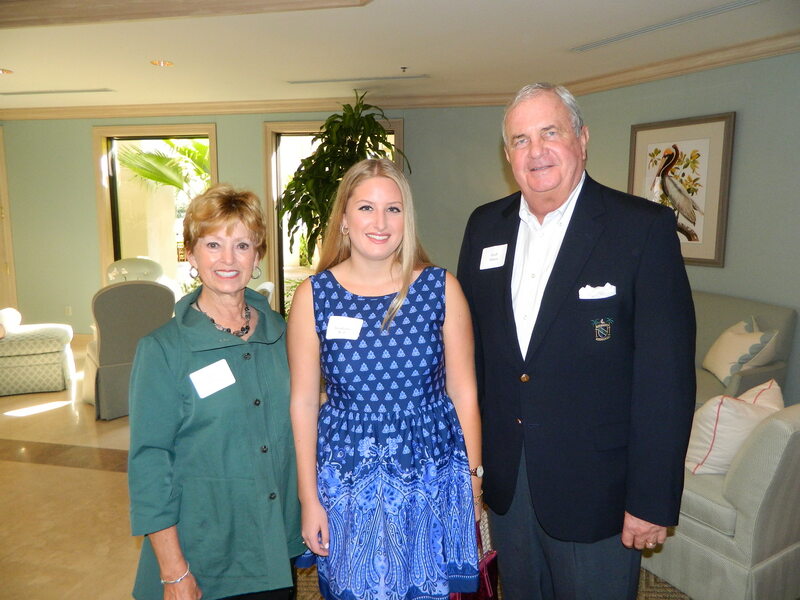 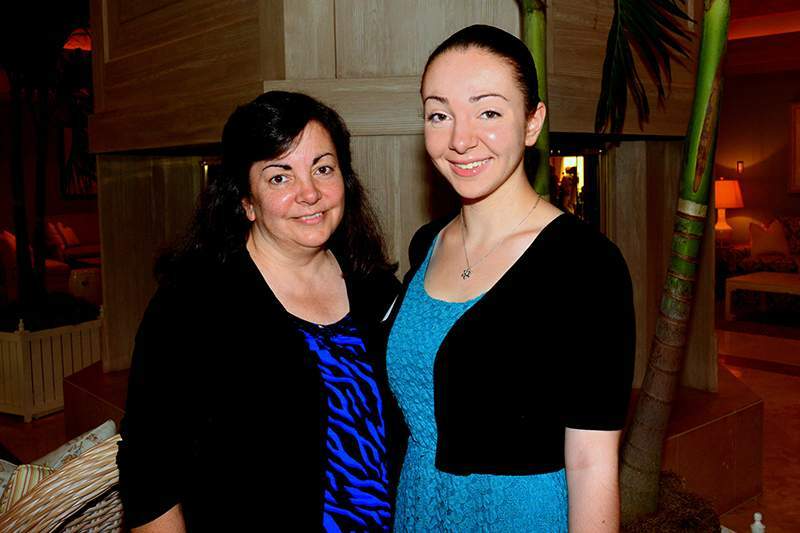 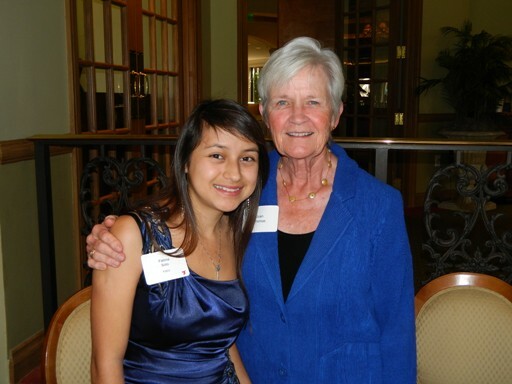 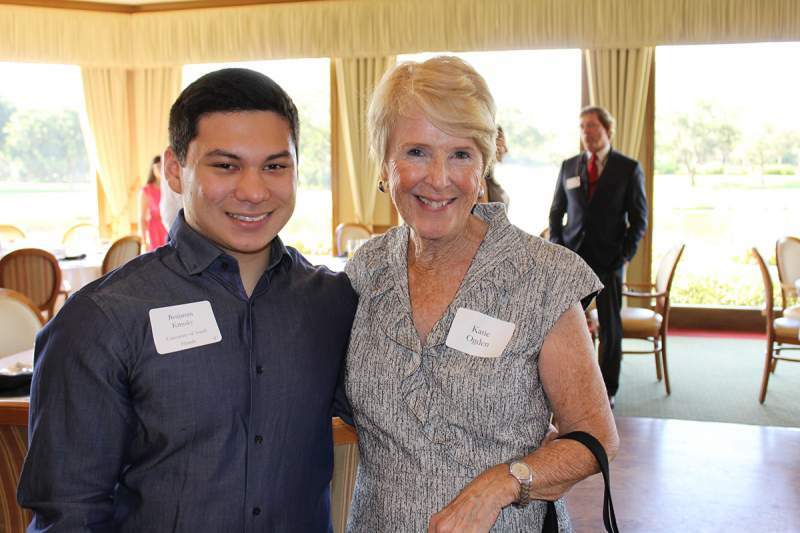 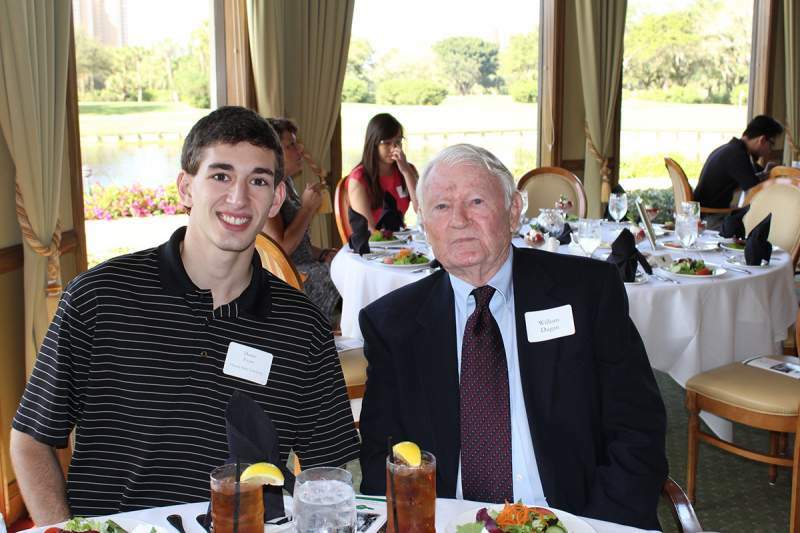 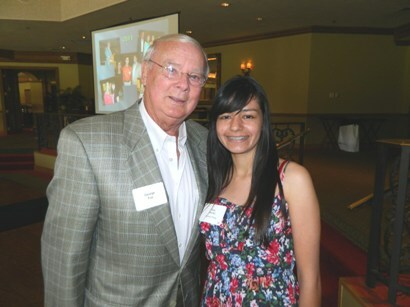 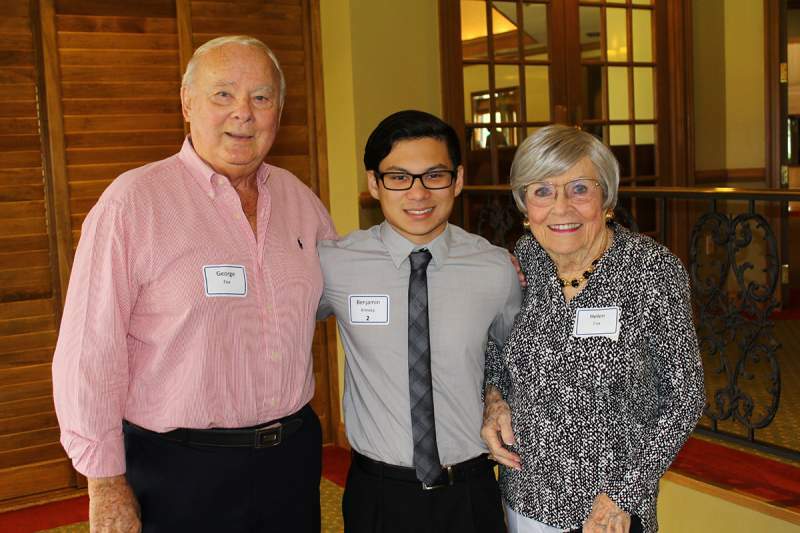 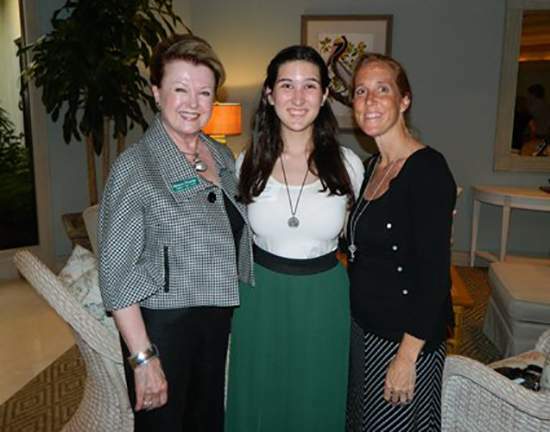 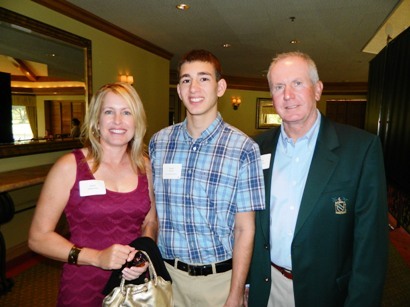 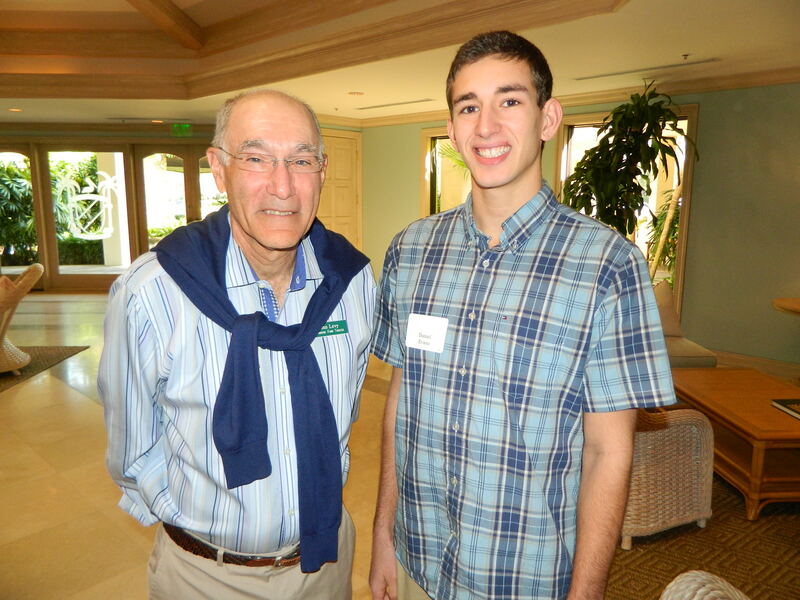 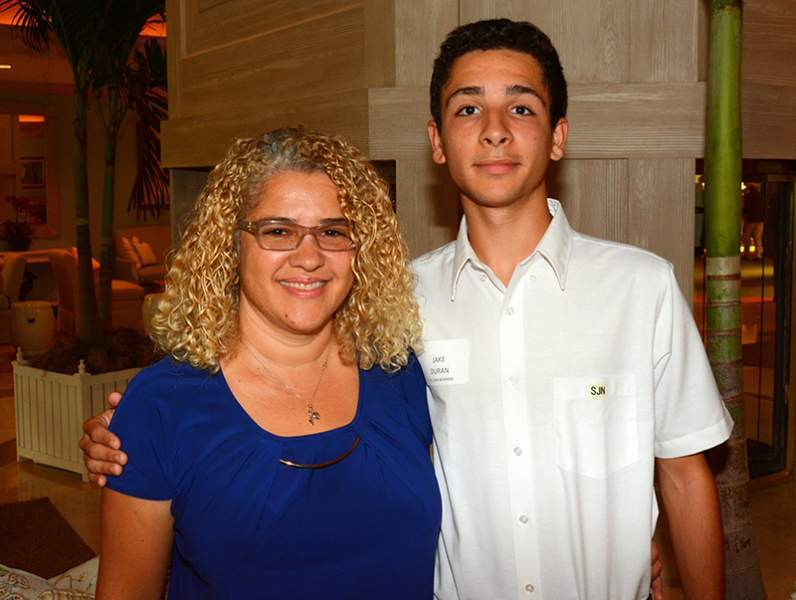 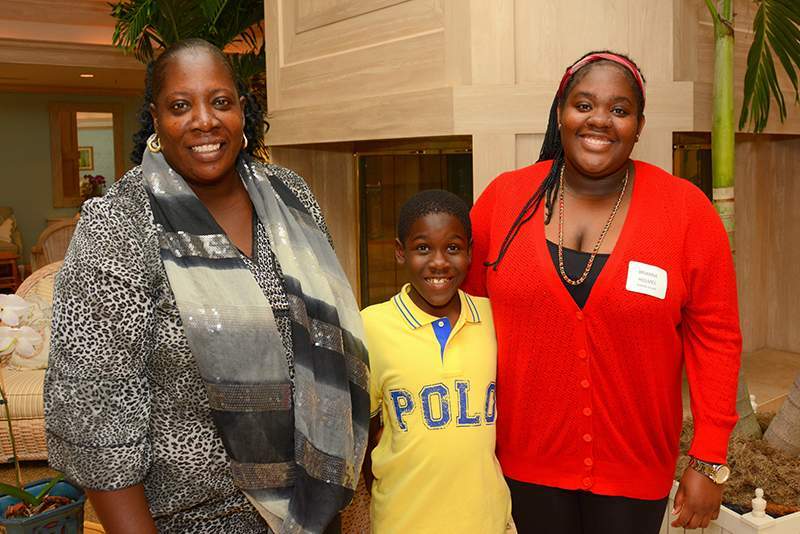 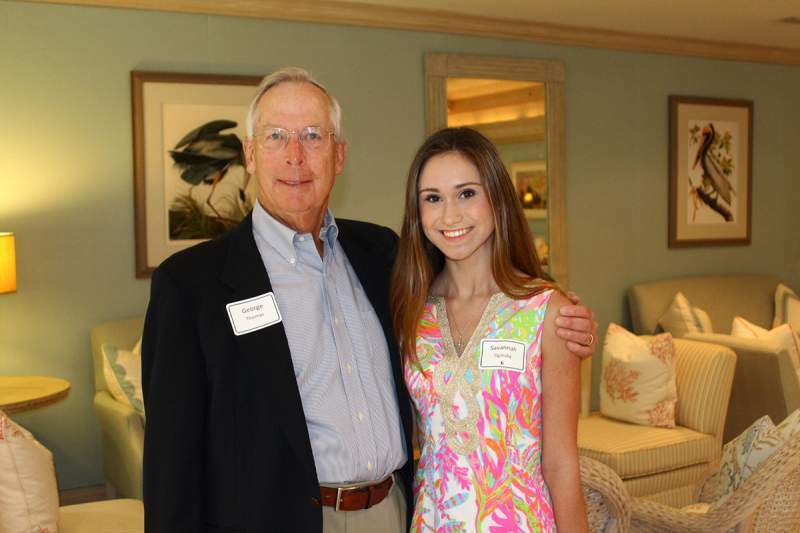 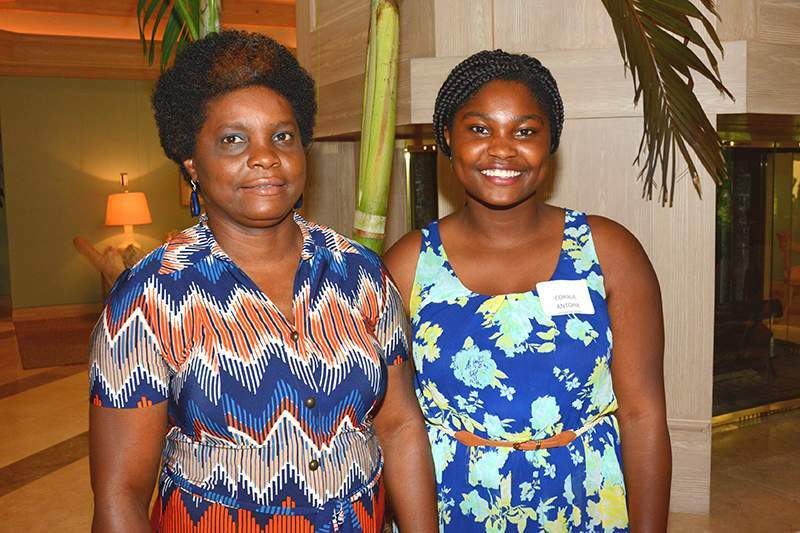 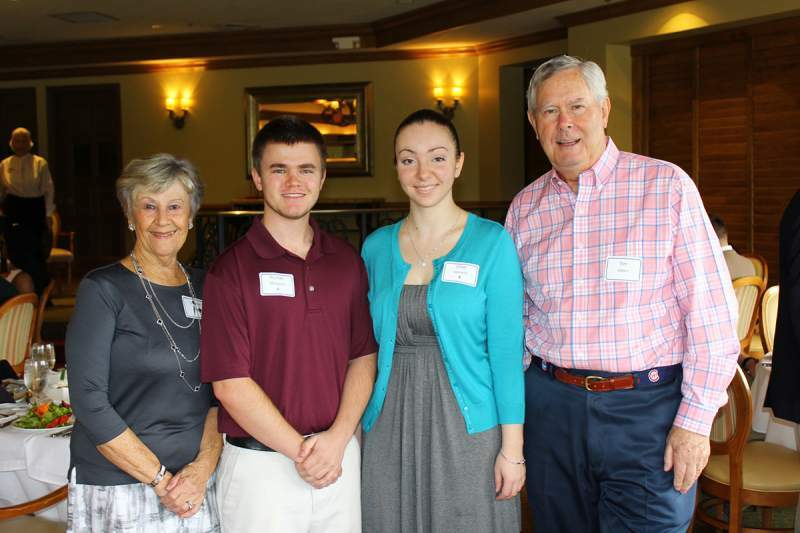 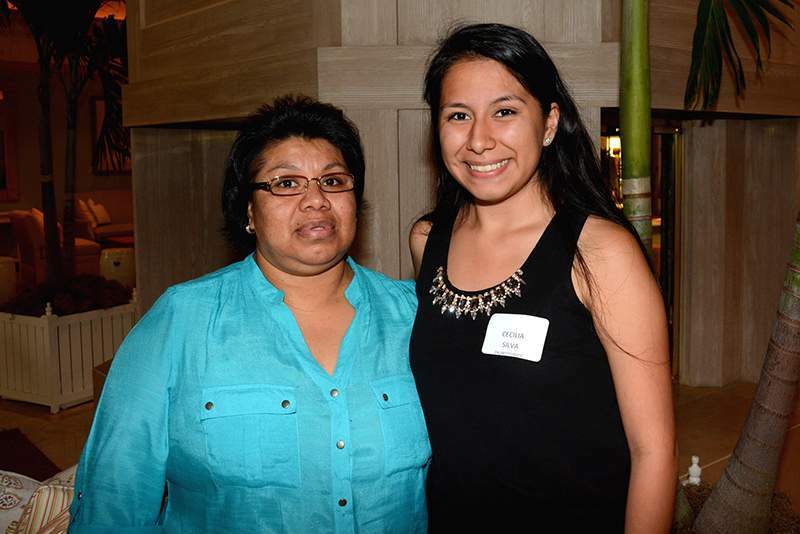 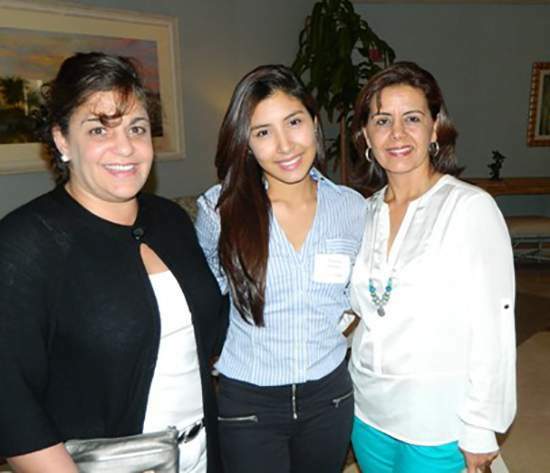 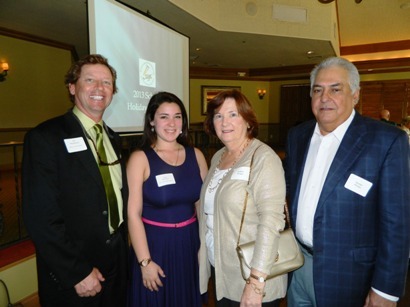 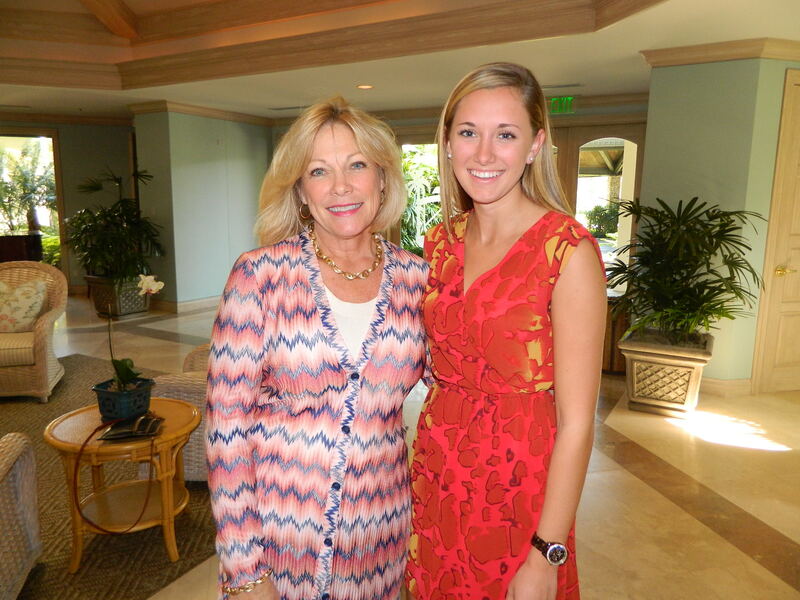 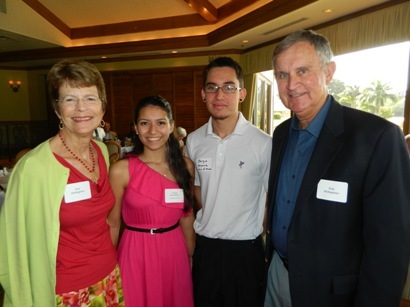 Scholarship recipients, their families, and select sponsors, trustees and benefactors of The Founders Fund, gathered for the 2014 Annual Scholarship Reception on April 30, 2014 at Club Pelican Bay. 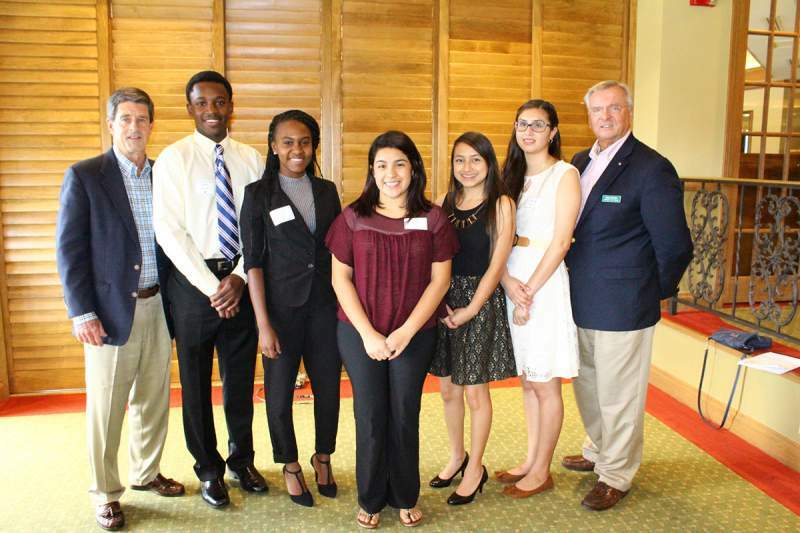 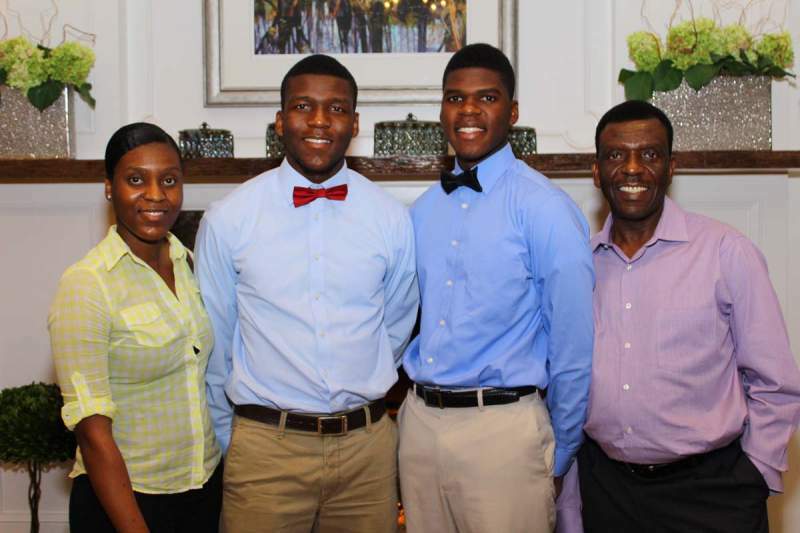 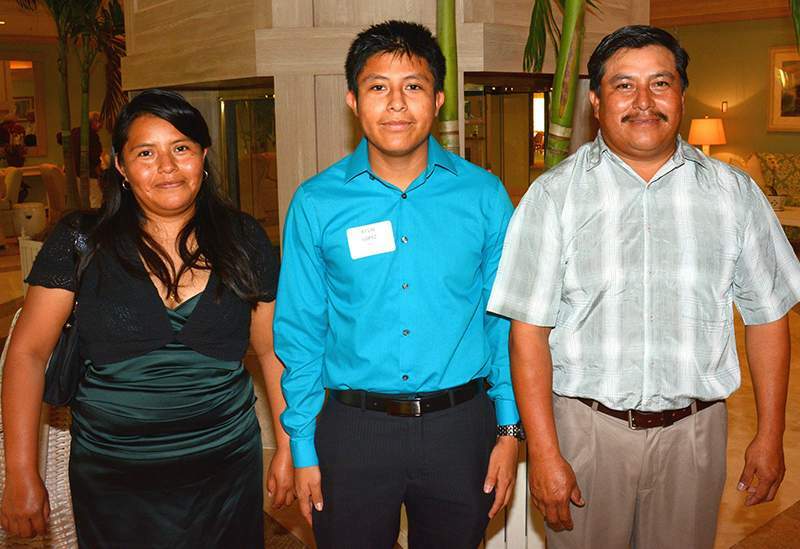 This year, 28 Collier County students received four year renewable college scholarships. 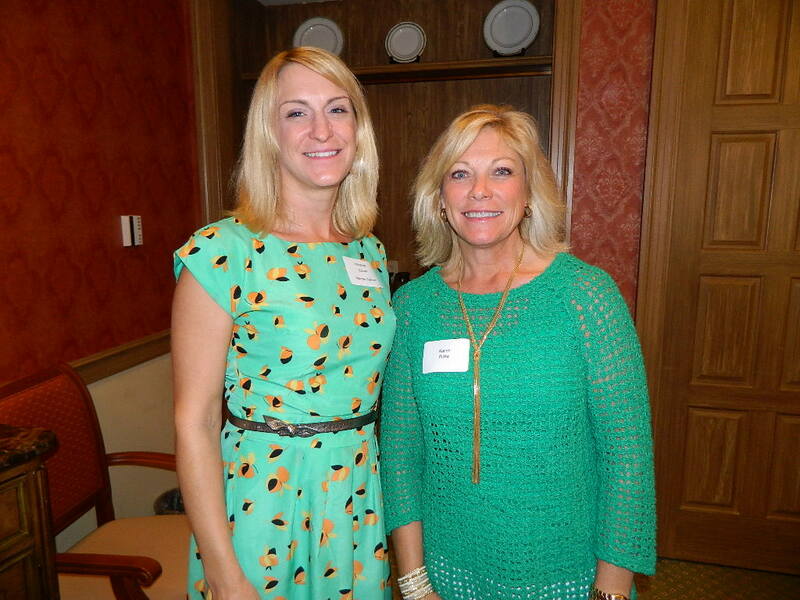 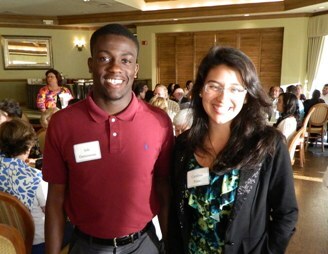 Collier County’s high schools were represented by 10 guidance counselors at the annual Founders Fund breakfast. 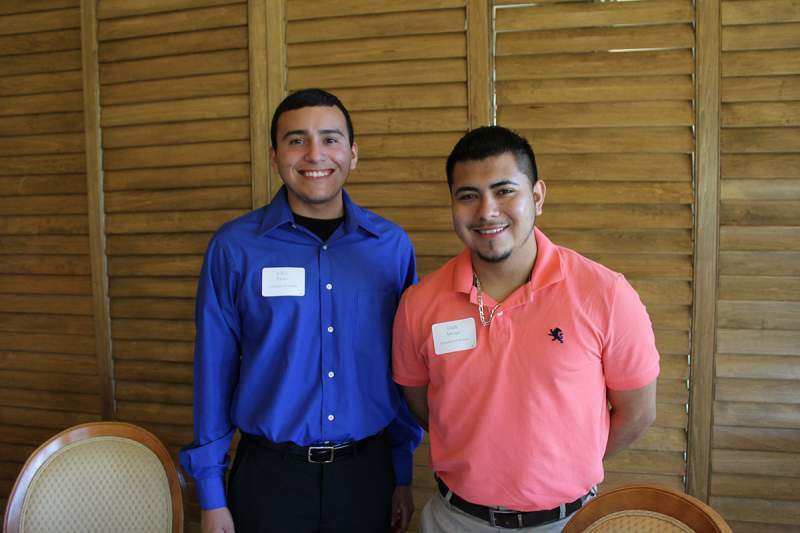 Information was shared to better prepare graduating high school seniors for the scholarship application process. 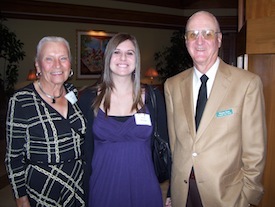 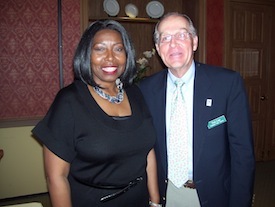 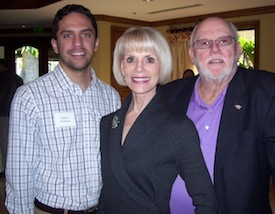 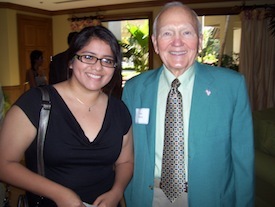 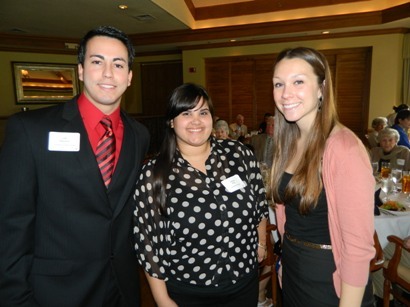 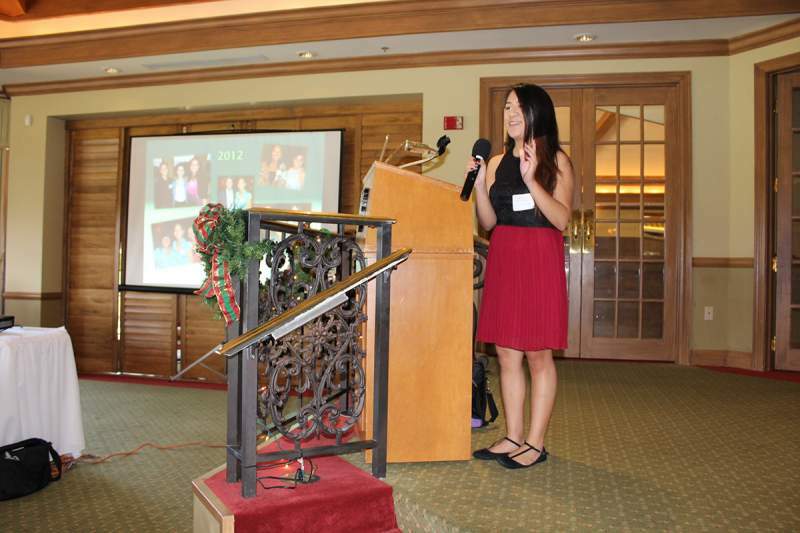 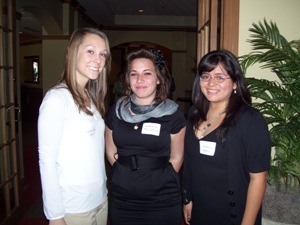 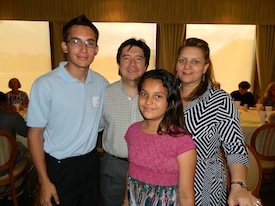 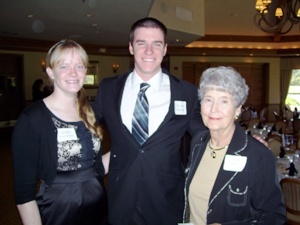 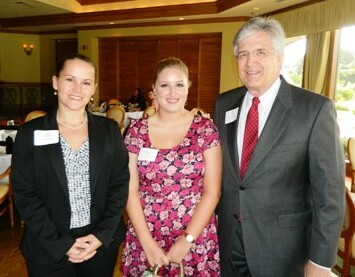 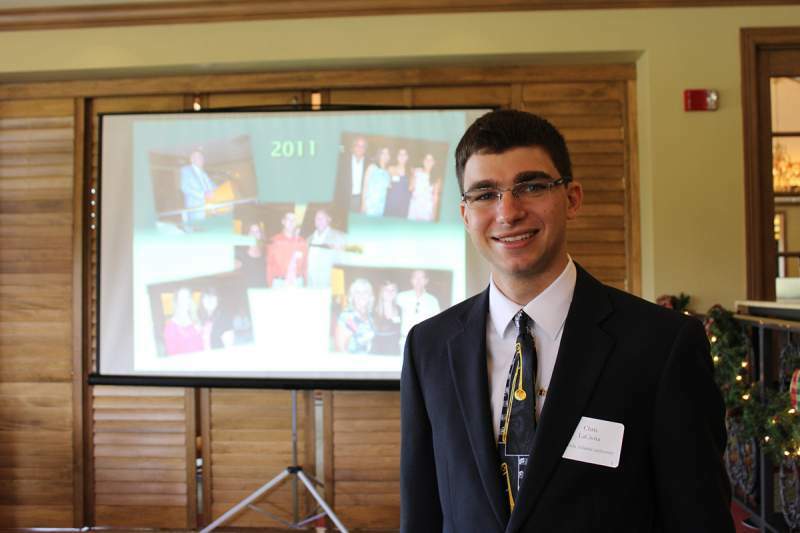 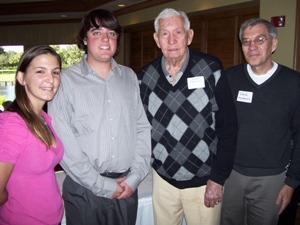 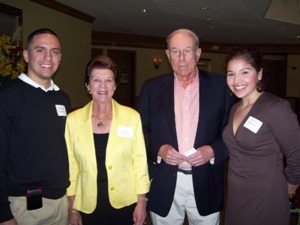 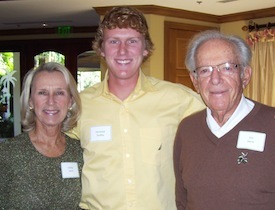 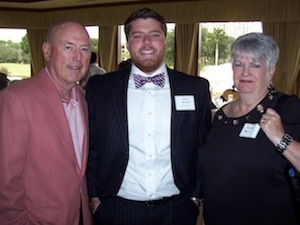 Nearly 100 people gathered for the Founders Fund Annual Scholars Luncheon on January 2, 2013 at Club Pelican Bay. 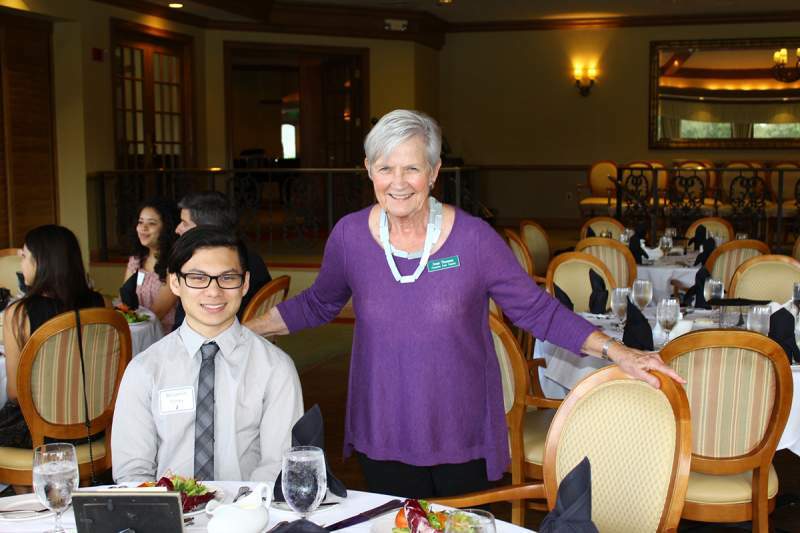 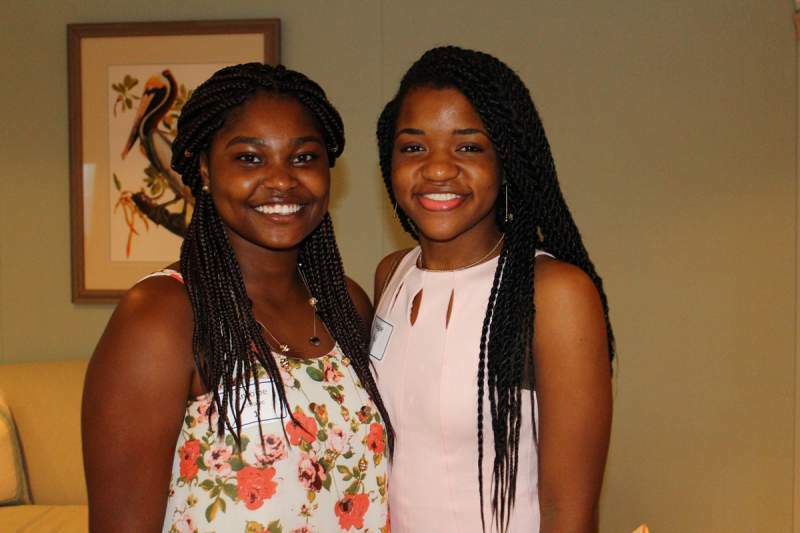 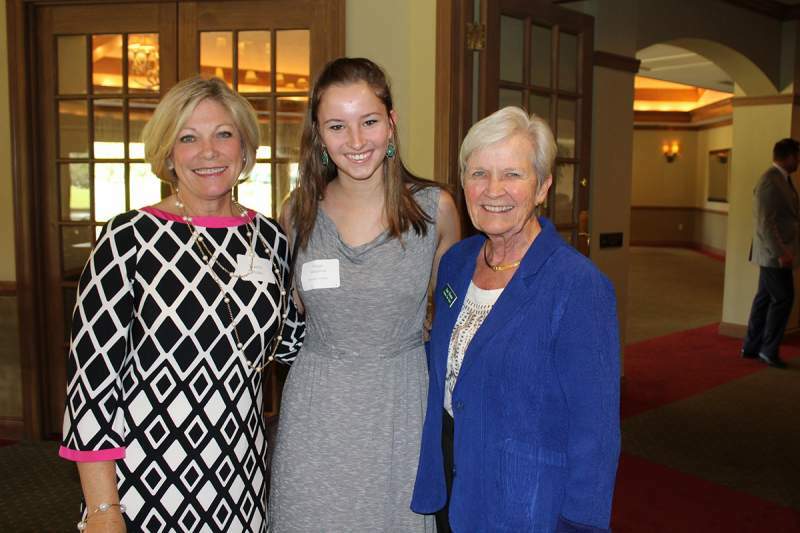 The luncheon, held each year to celebrate student accomplishments, gave students, sponsors, trustees and benefactors a chance to meet and mingle. 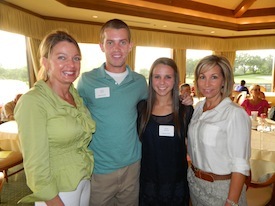 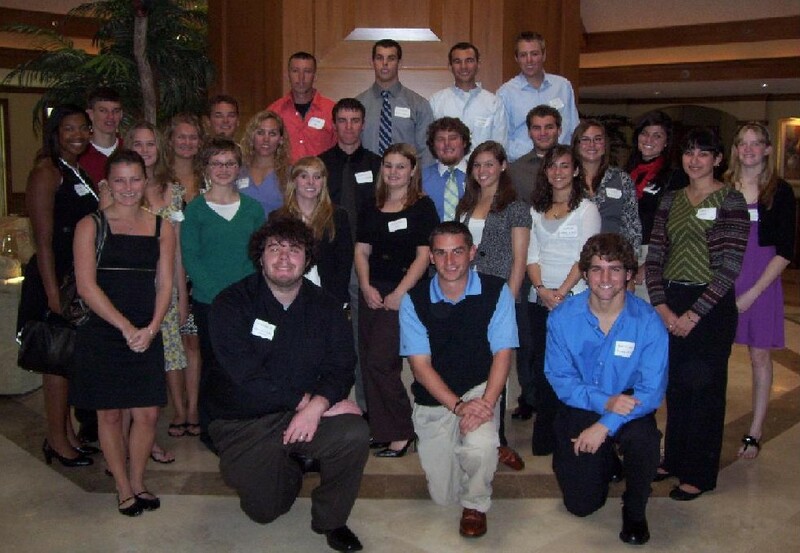 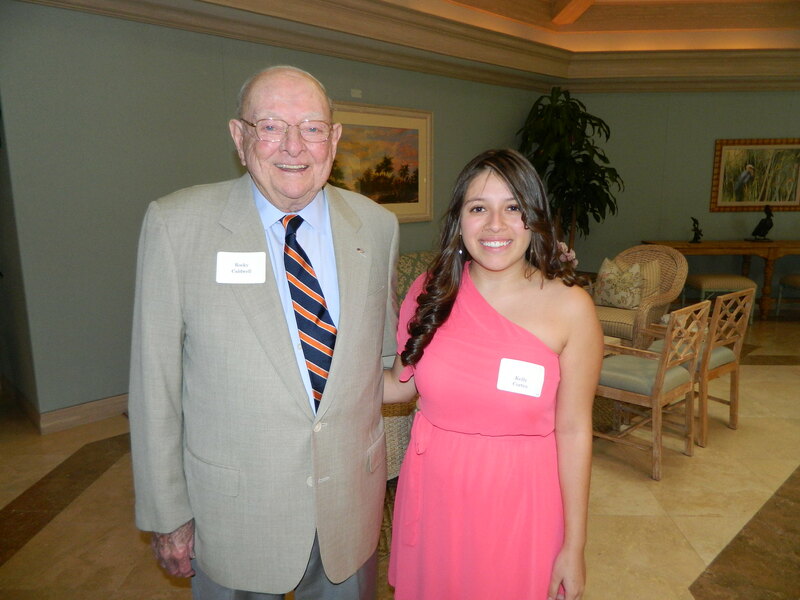 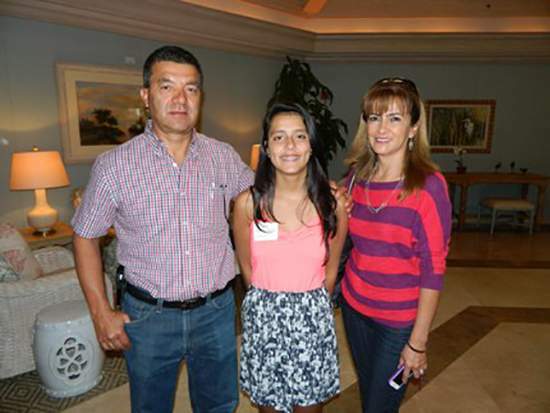 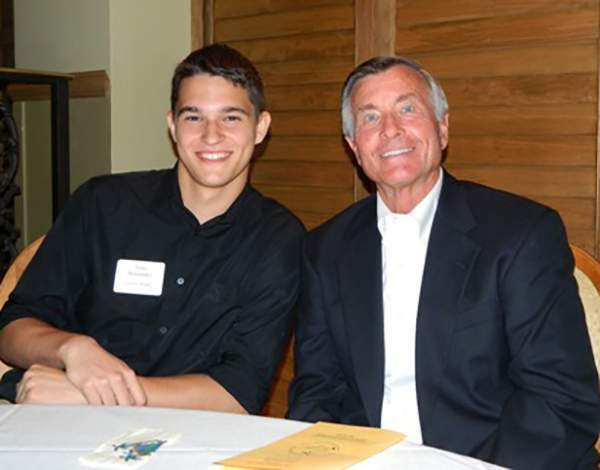 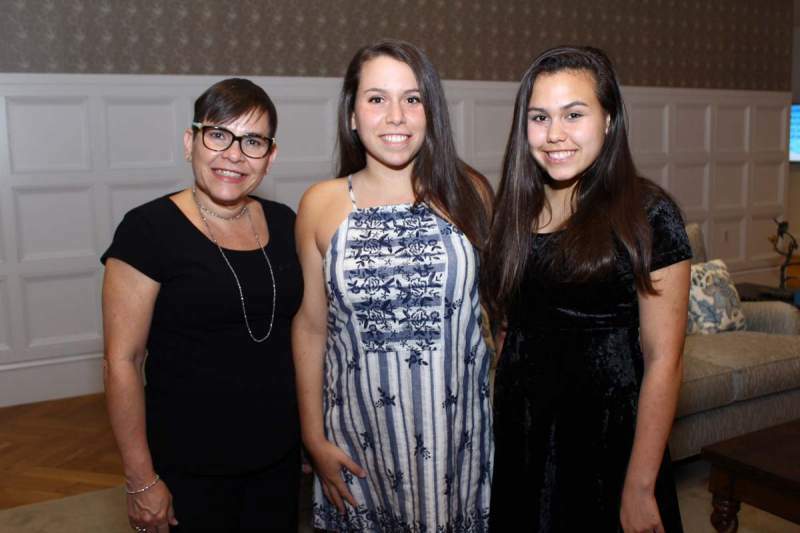 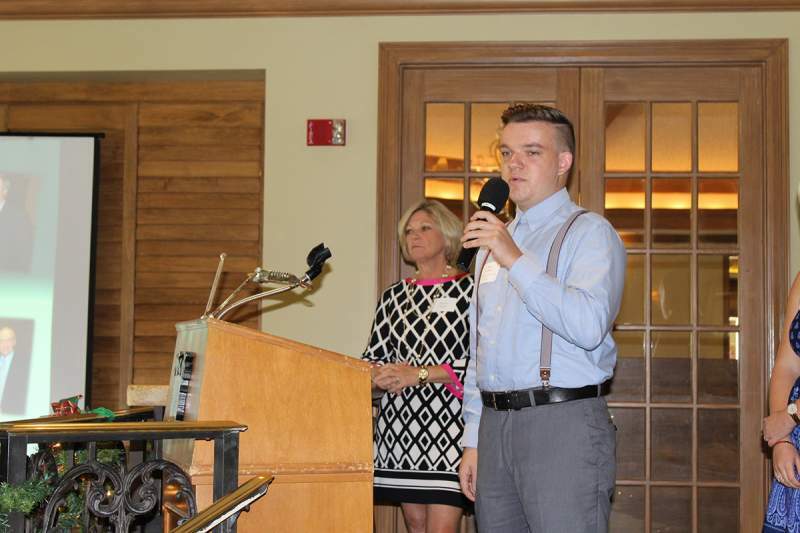 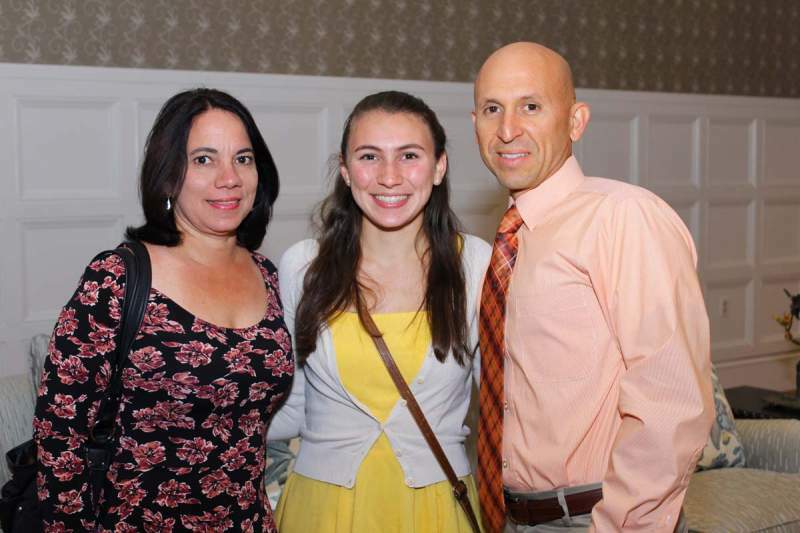 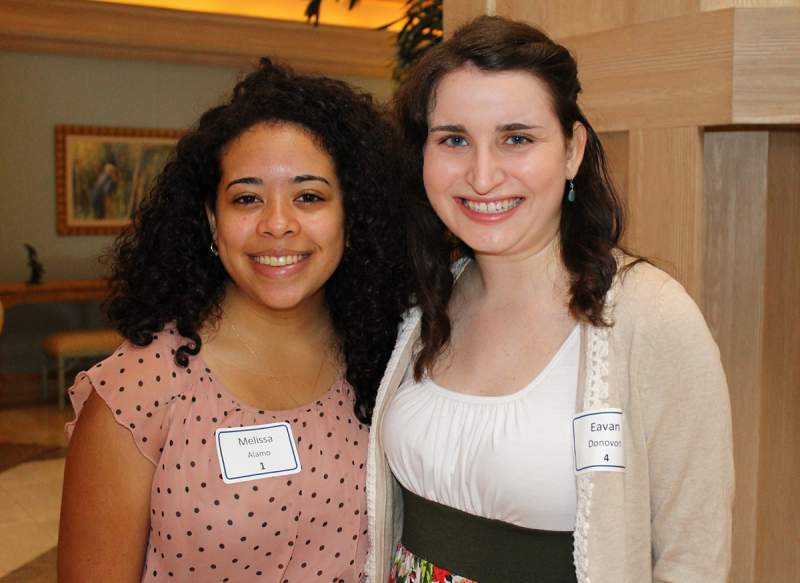 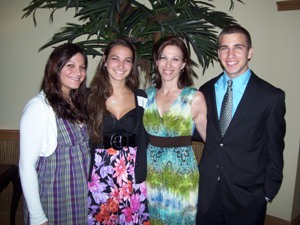 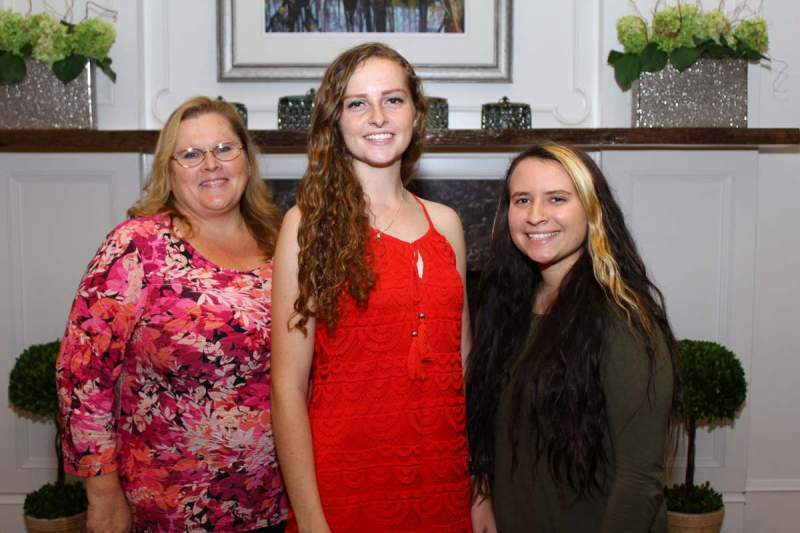 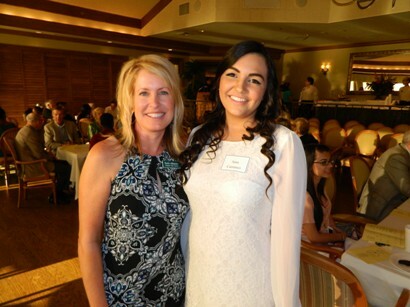 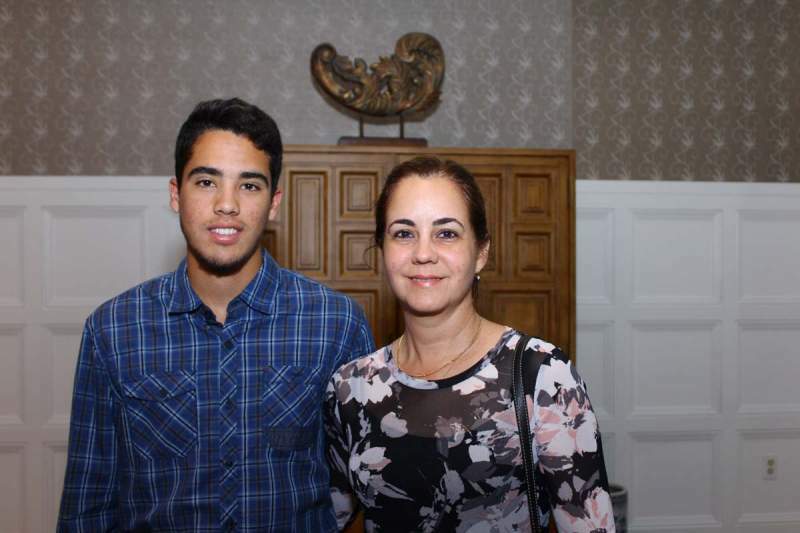 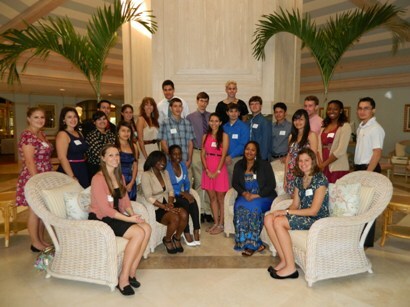 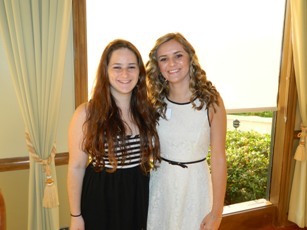 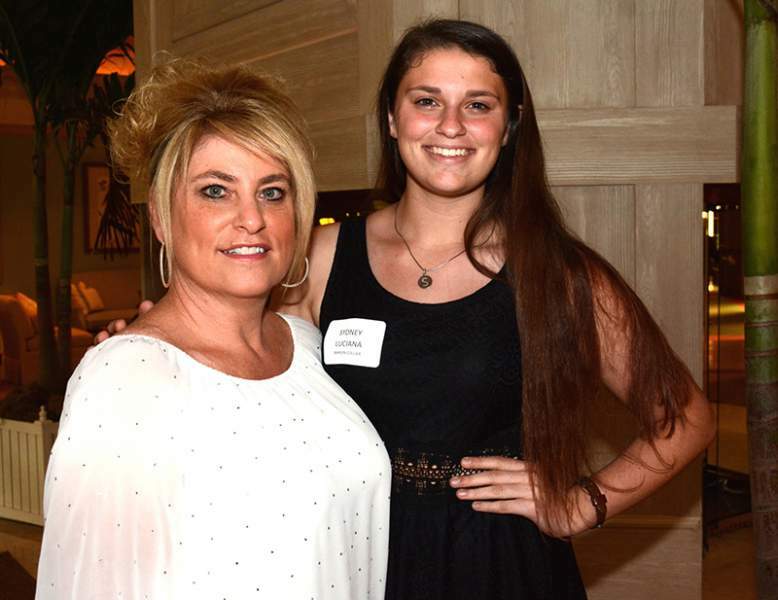 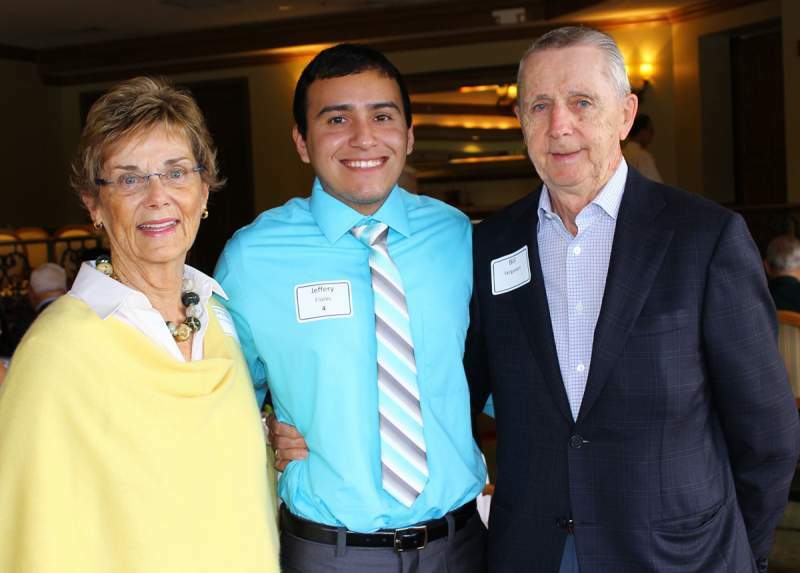 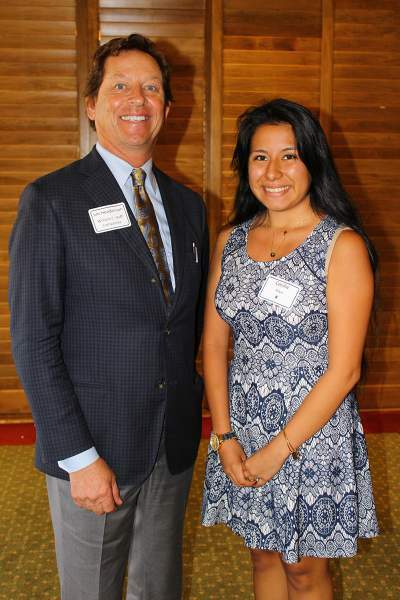 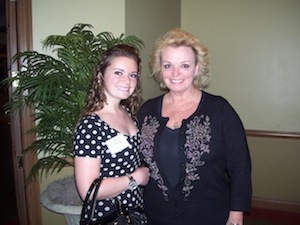 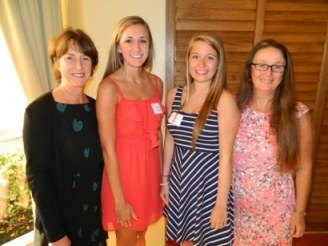 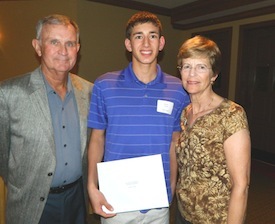 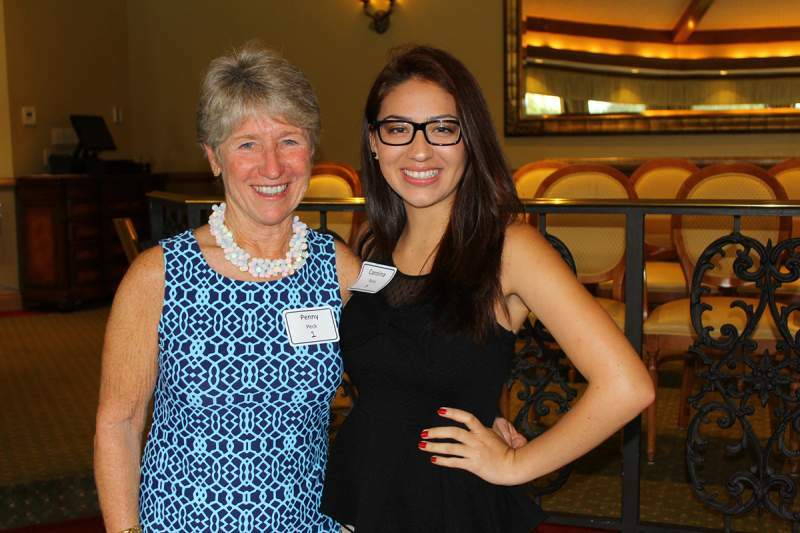 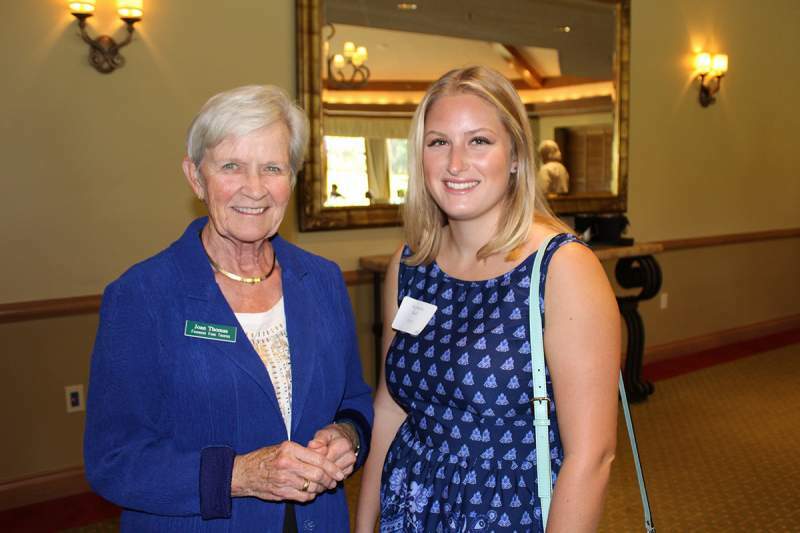 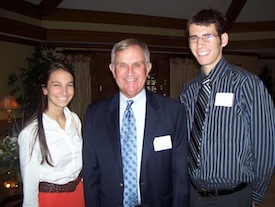 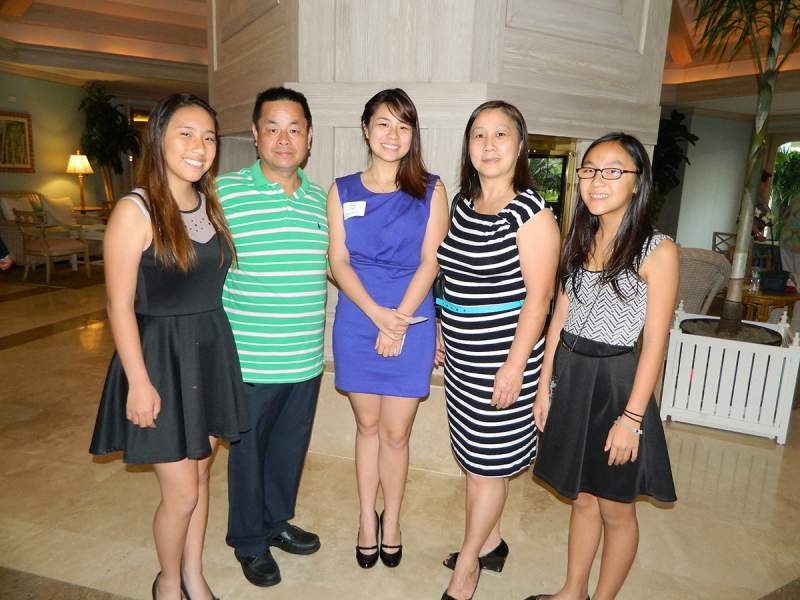 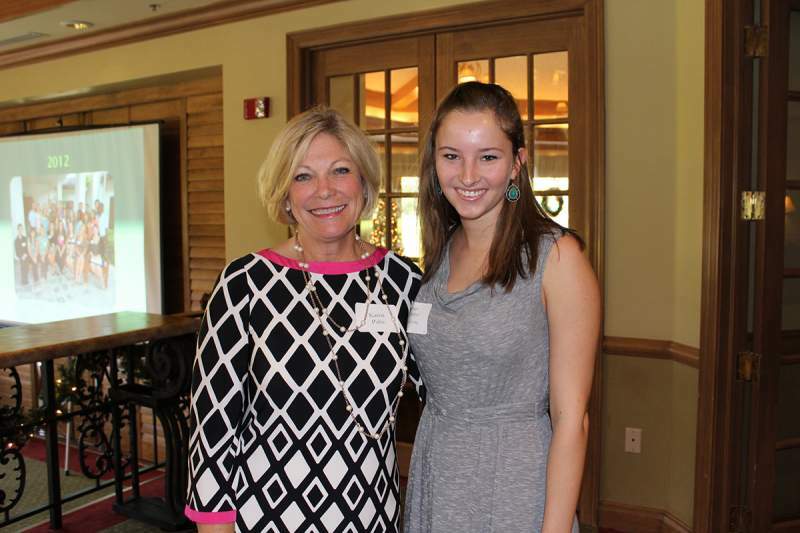 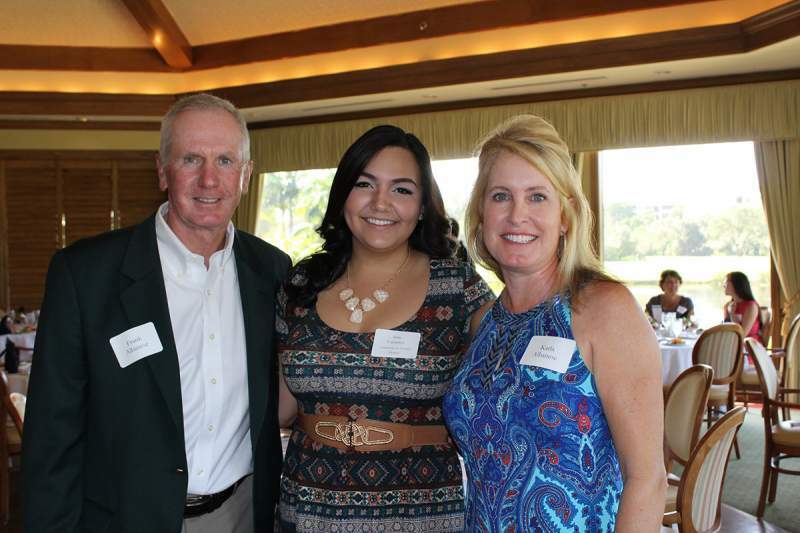 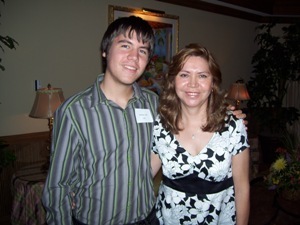 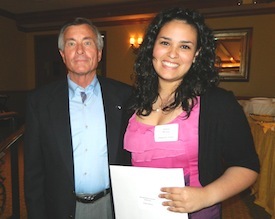 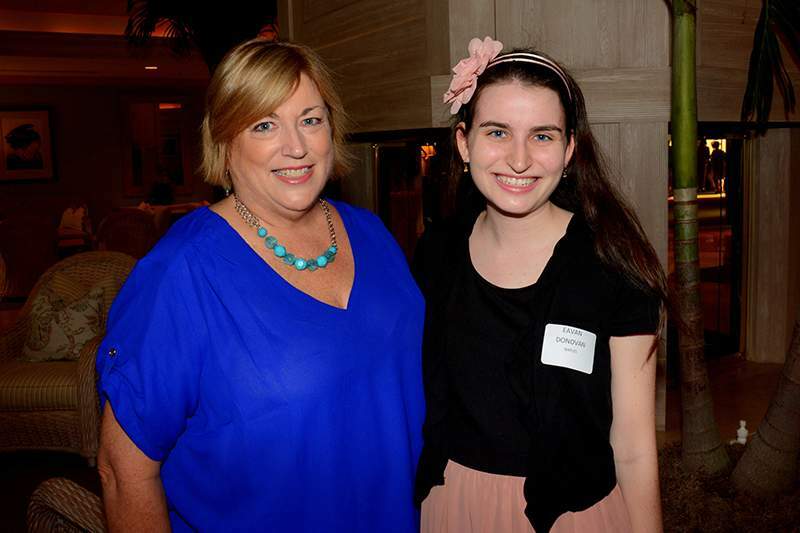 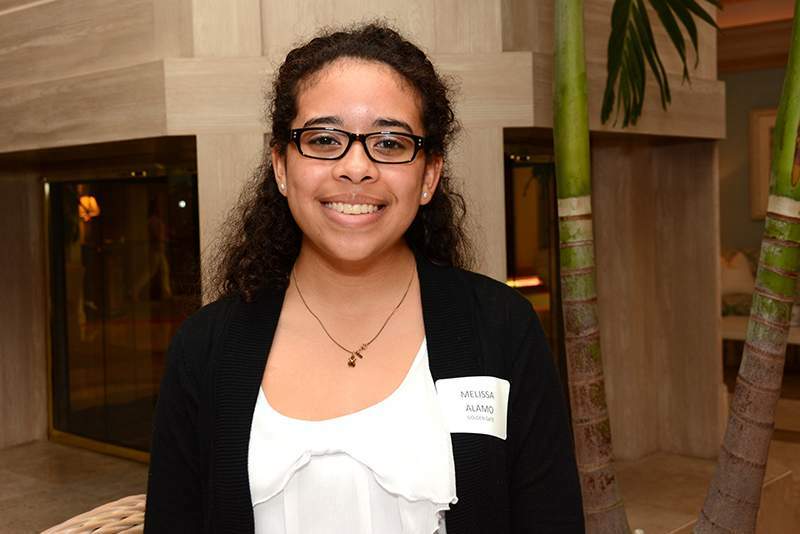 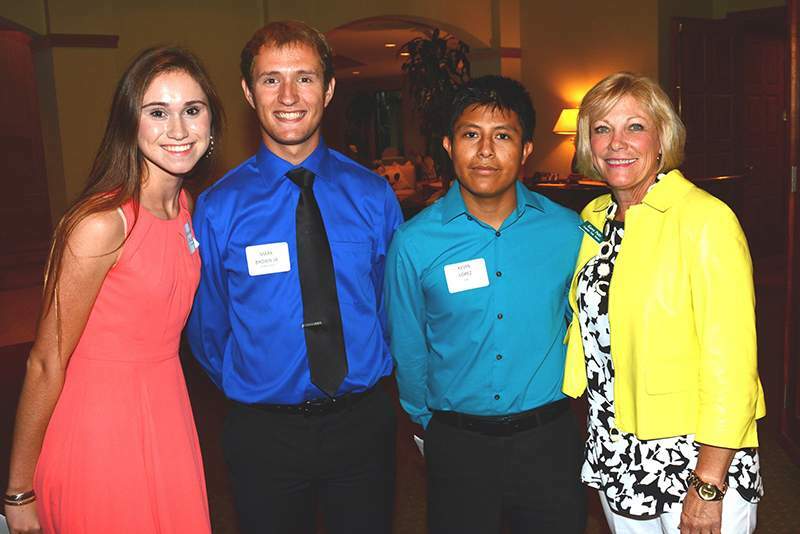 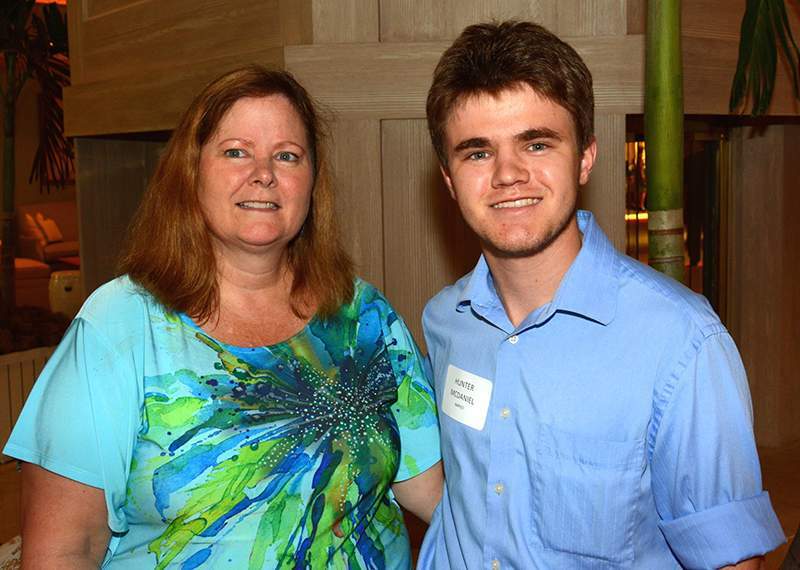 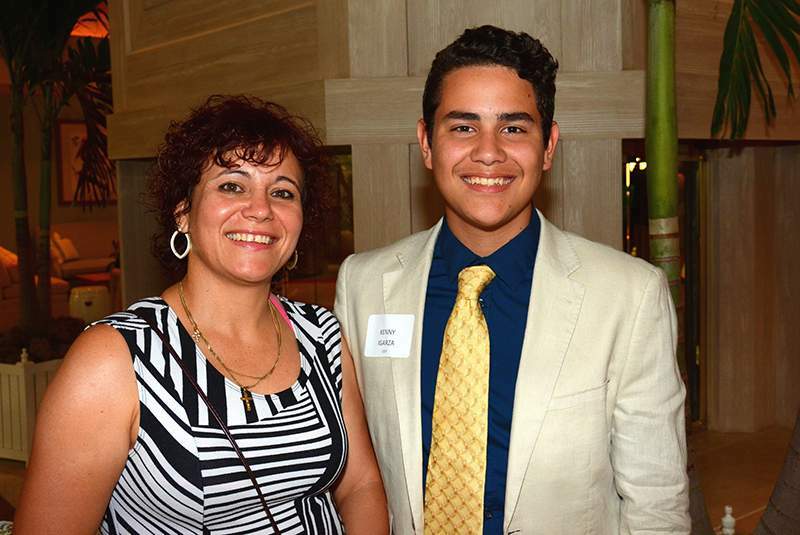 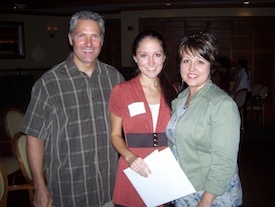 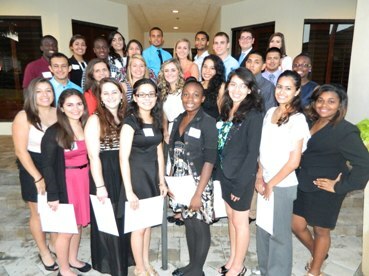 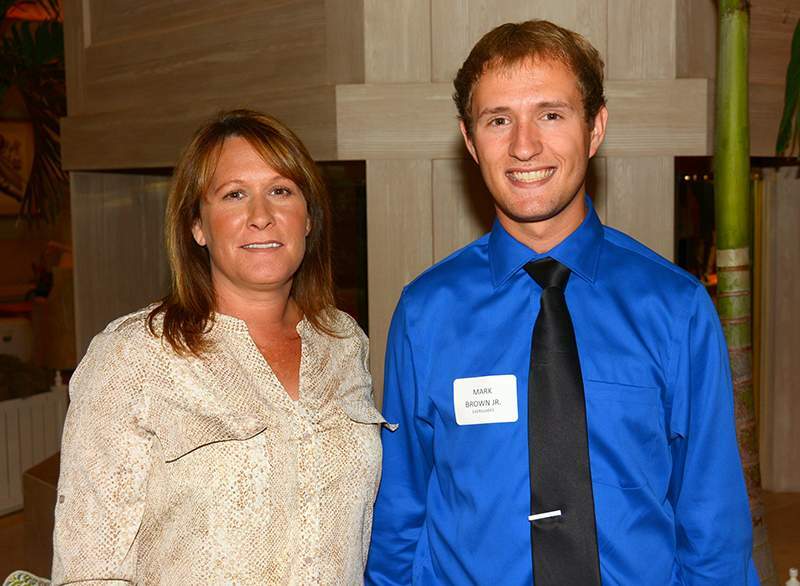 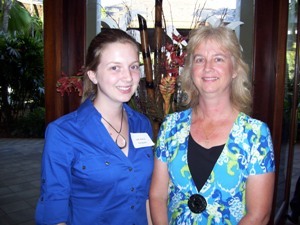 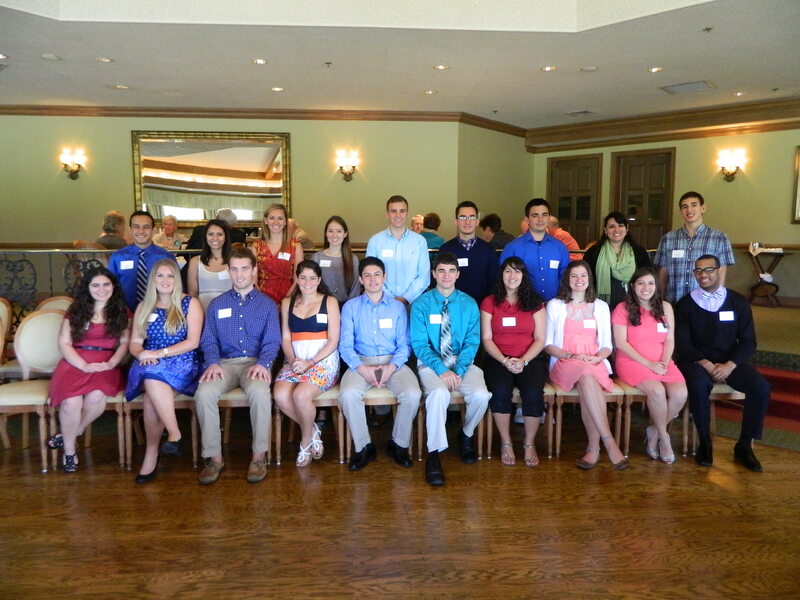 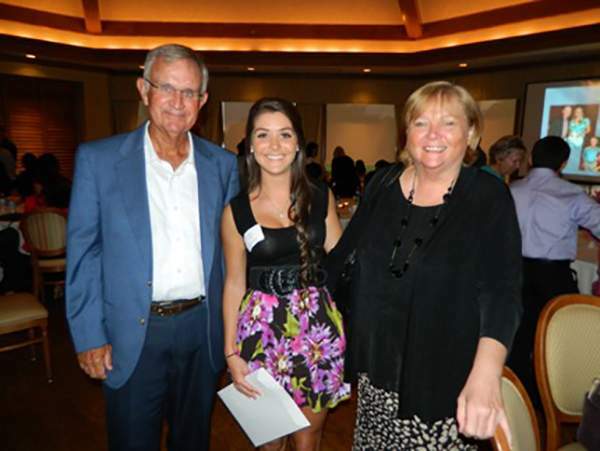 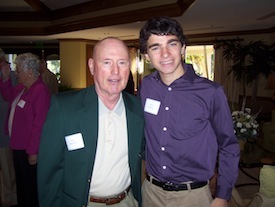 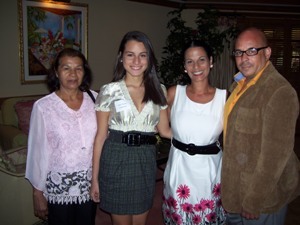 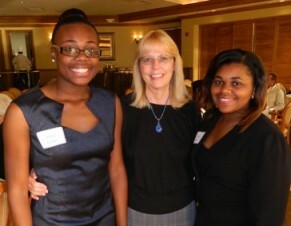 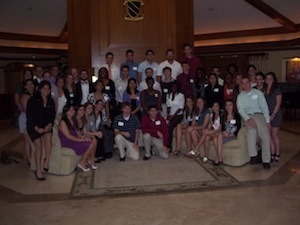 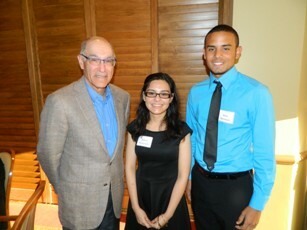 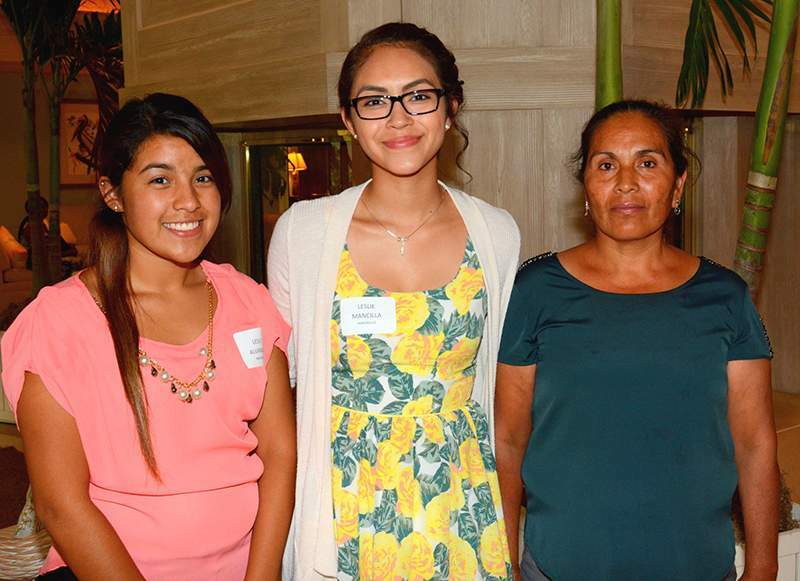 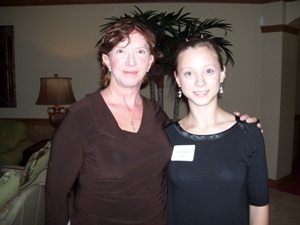 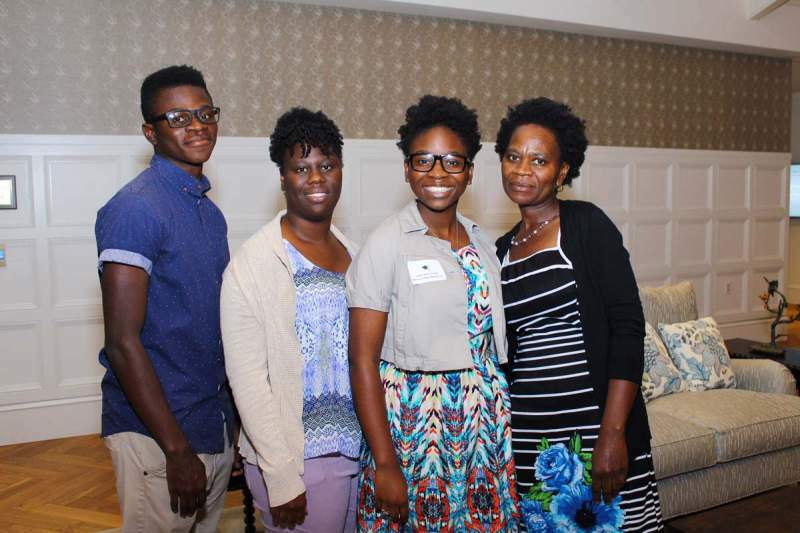 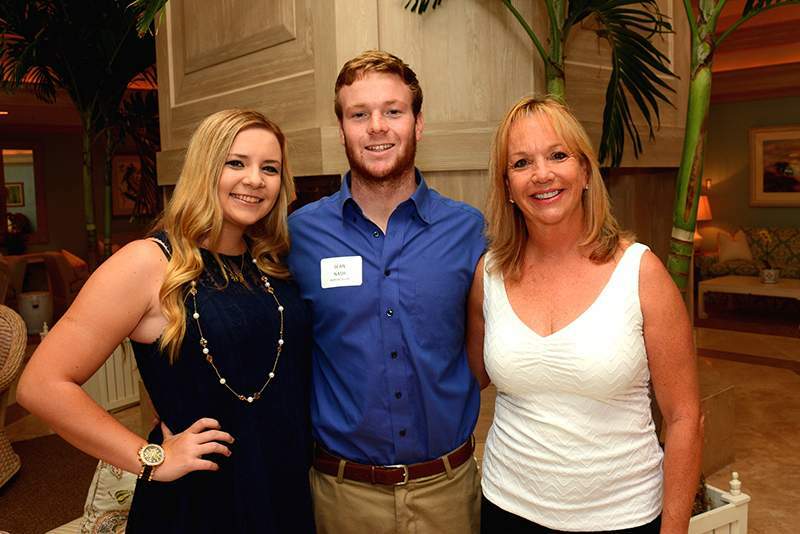 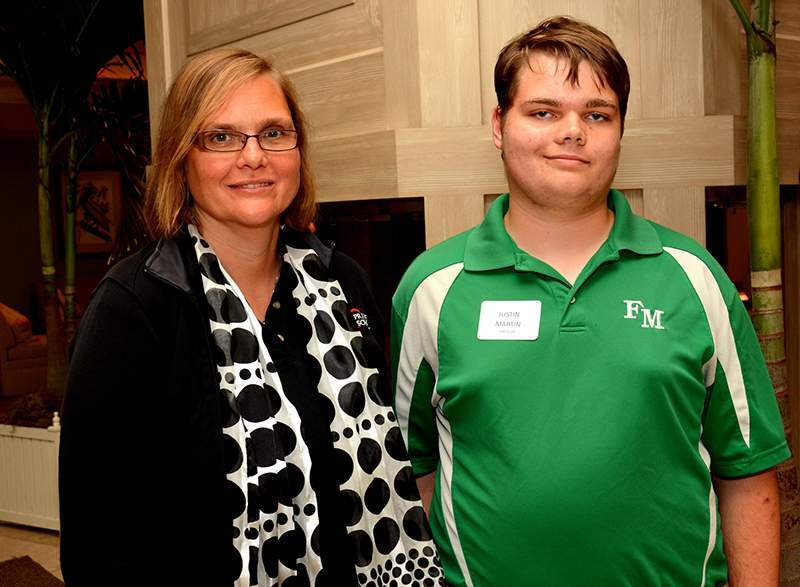 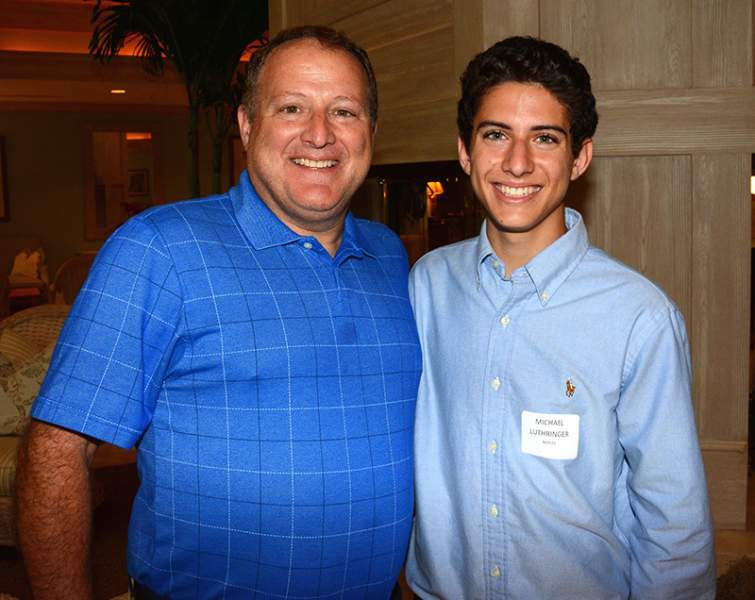 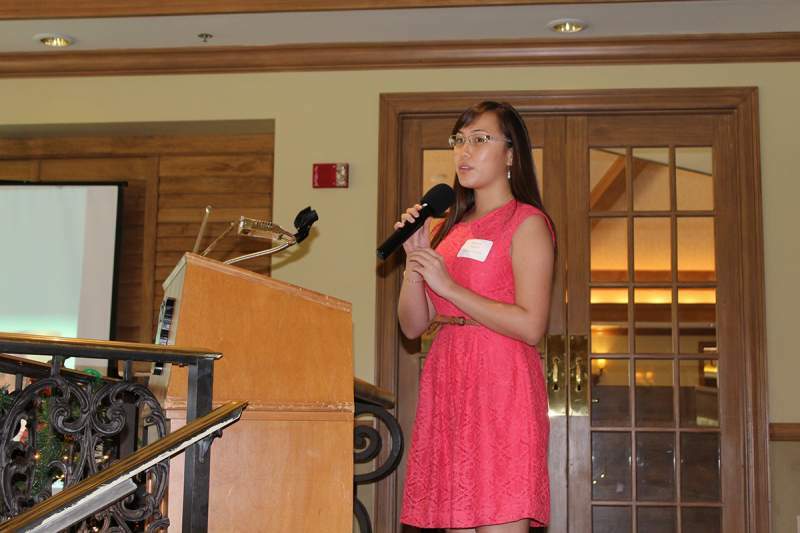 29 Collier County students were honored for receiving scholarships through The Founders Fund. 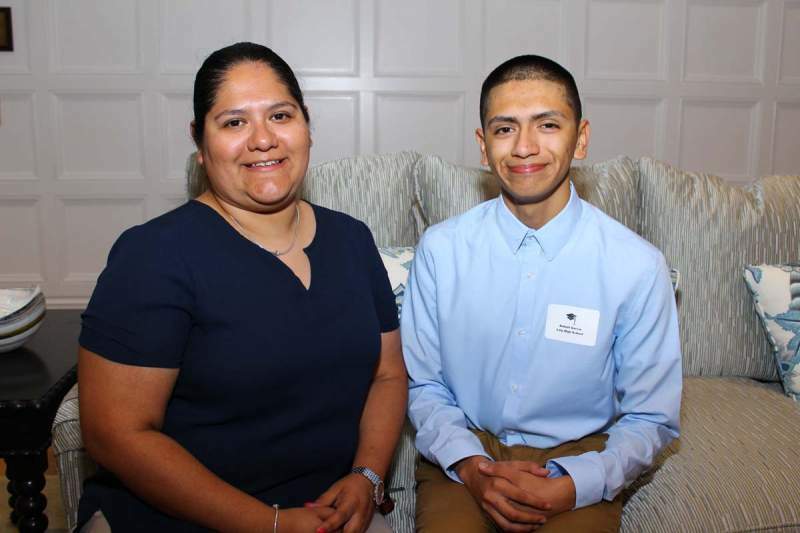 This year marks the start of the Sponsored Scholar program, giving students $2,500 for their first two years of college and the traditional $2,000 for their final two years. 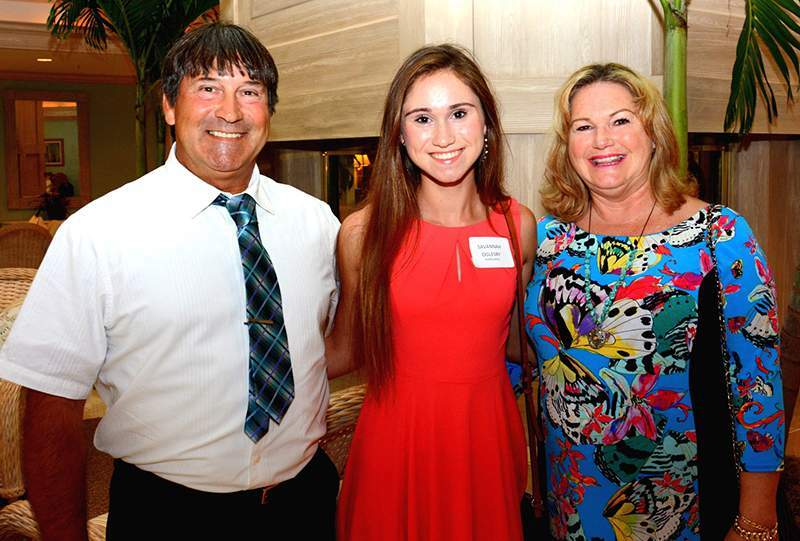 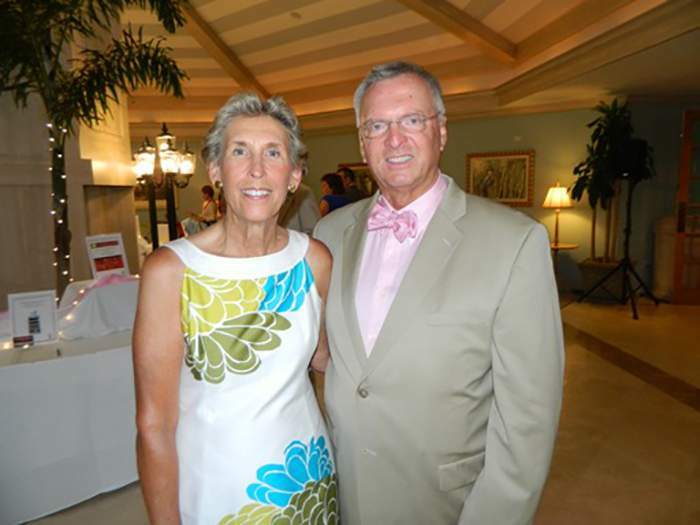 Over $340,000 was raised to grant scholarships to Collier County students. 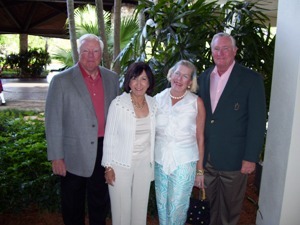 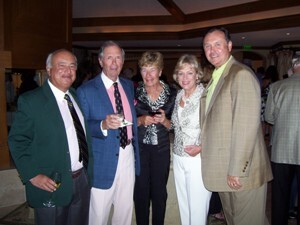 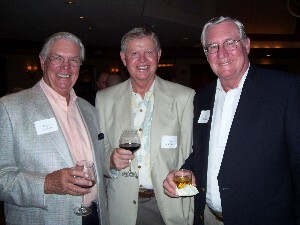 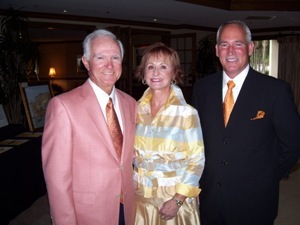 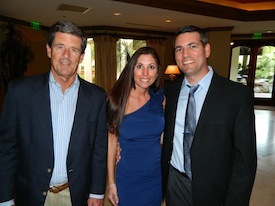 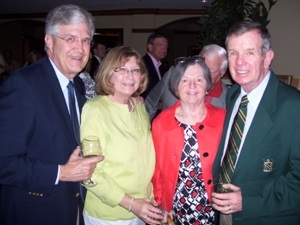 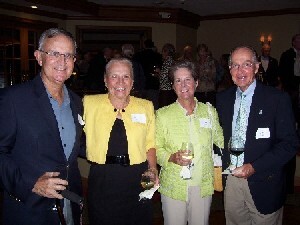 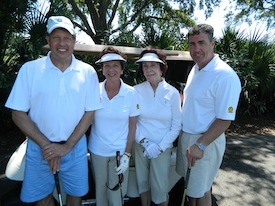 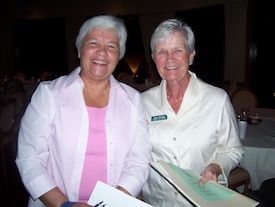 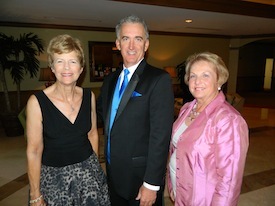 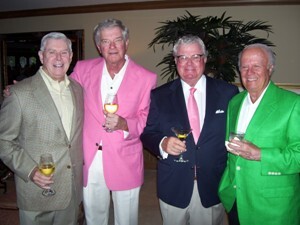 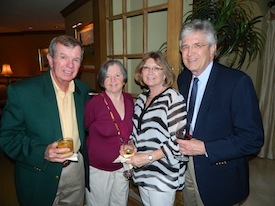 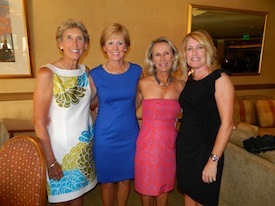 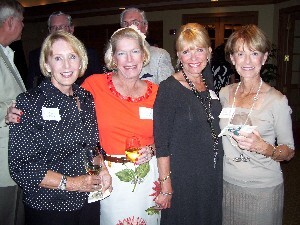 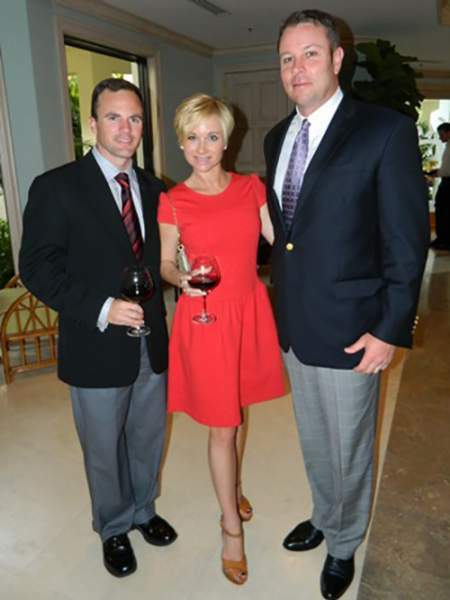 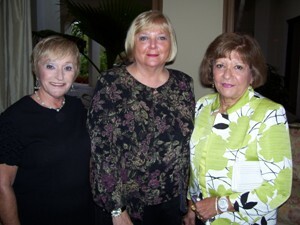 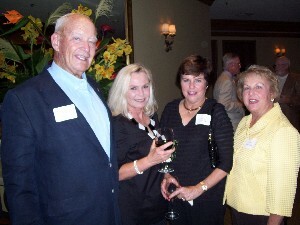 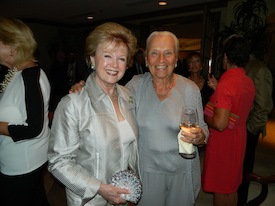 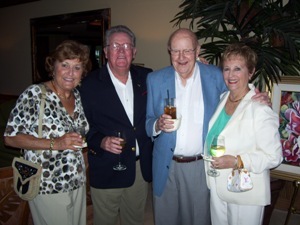 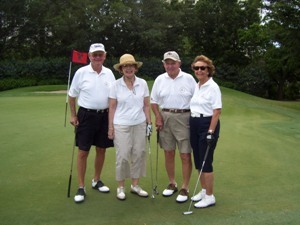 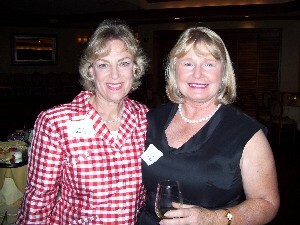 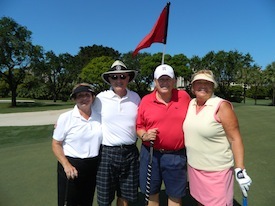 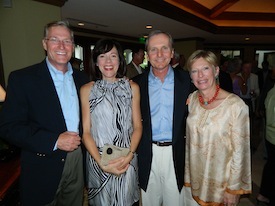 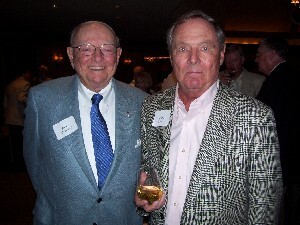 The event consisted of a day of golf, cocktails, dinner, and a live auction at Club Pelican Bay. 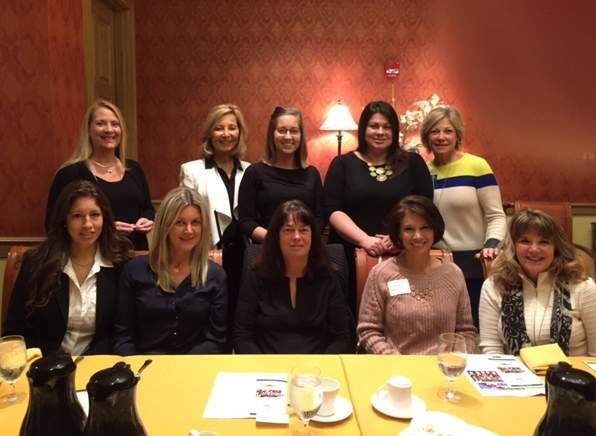 Collier County’s high schools were represented by 11 guidance counselors who joined The Founders Fund members for the annual breakfast. 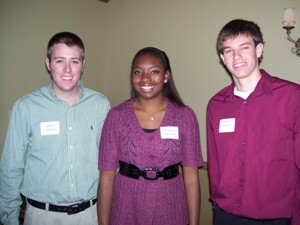 They shared information to better prepare graduating seniors for the scholarship application process. 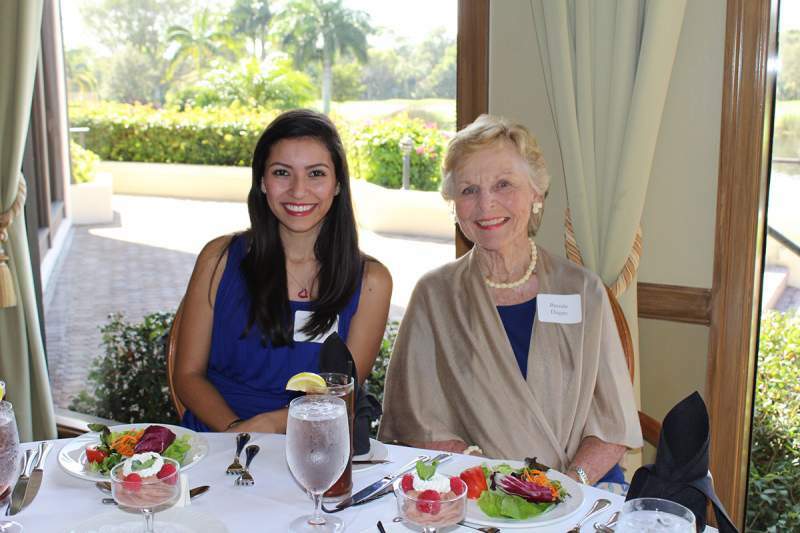 During the holiday break, The Founders Fund celebrated the end of their 20th anniversary year with a special luncheon in honor of past and present trustees. 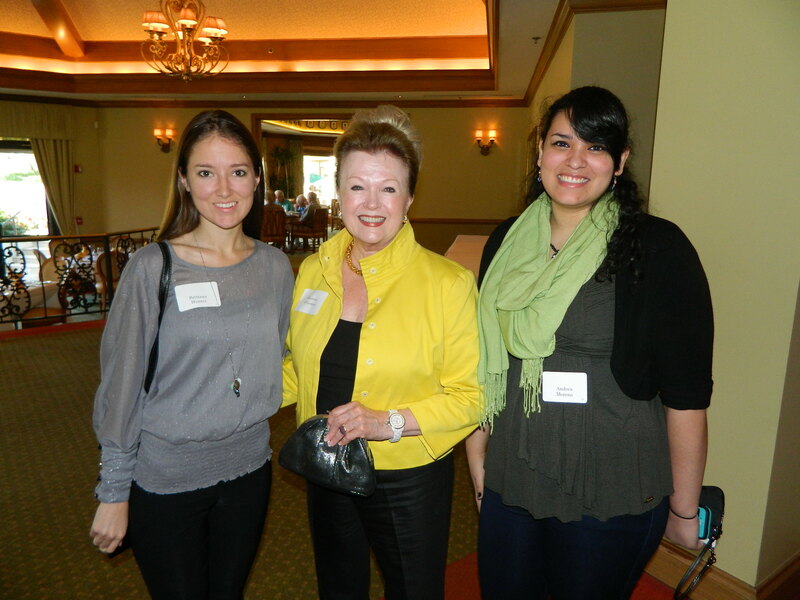 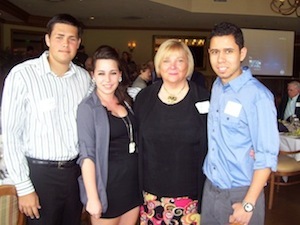 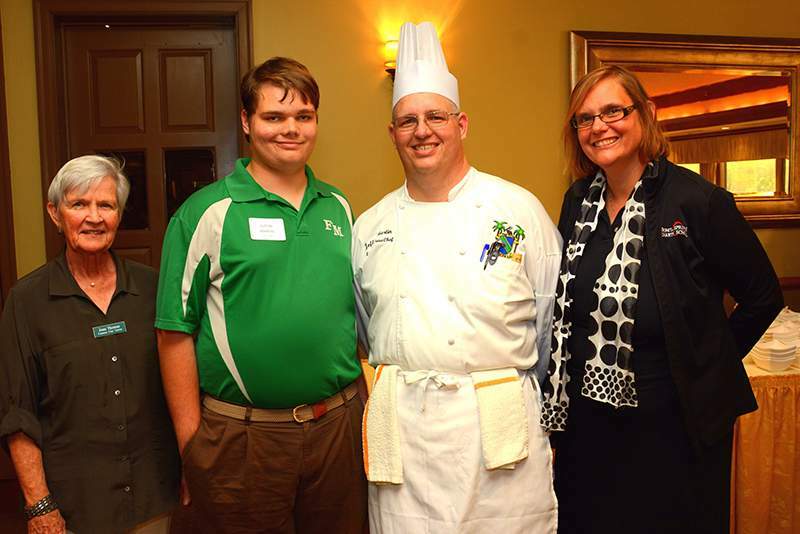 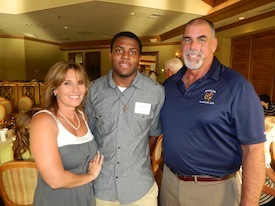 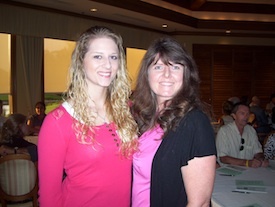 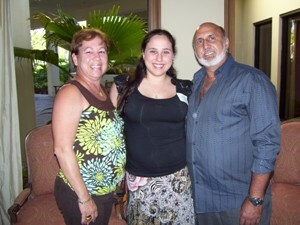 Over 90 guests, including 38 visiting students, came together at Club Pelican Bay for this special event.